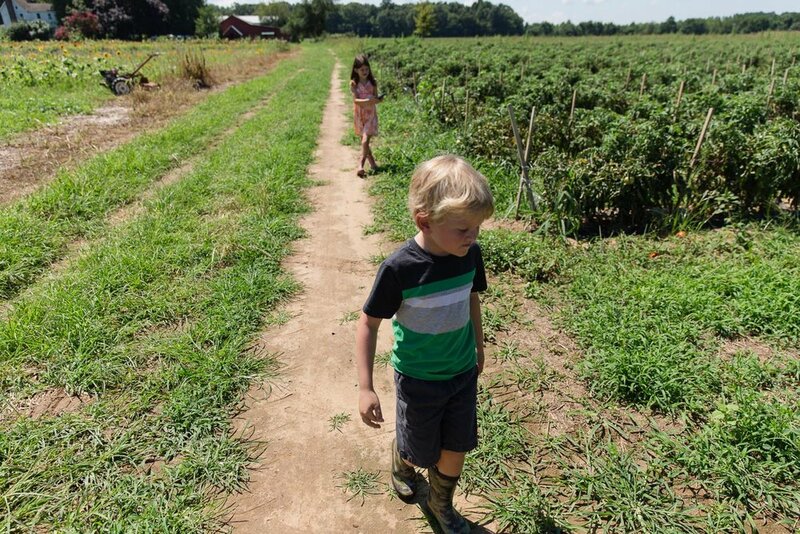 It doesn’t get much sweeter than summertime in Rock Hall in Kent County, Maryland. Once you’re in on the secret, you spend your winters longing for the return of warm days (as I’m doing on this crisp March day). You daydream about the return of the ospreys, taking the boat to Cacaway, kayaking the Chester, fishing, biking, crabbing, sunset trips to Ferry Park Beach, etc etc etc. 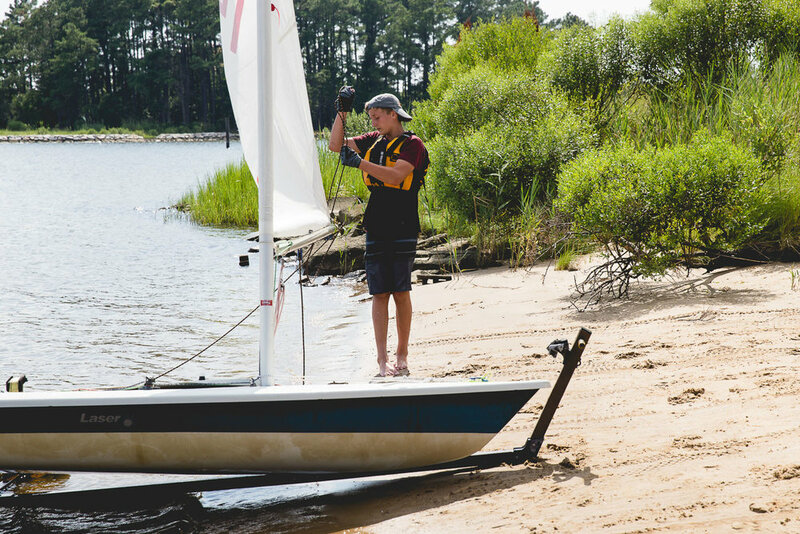 When you live on Maryland’s Eastern Shore, your life revolves around the water. It only makes sense that your family photographs reflect that. 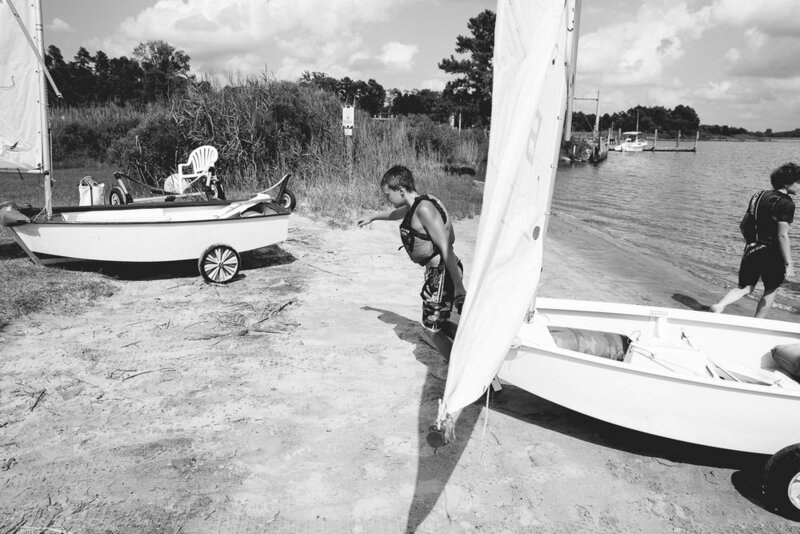 If you’re intrigued by the idea of having me photograph your summer vacation, after viewing this session, be sure to check out this Boating to Conquest Beach family photography session from last year. 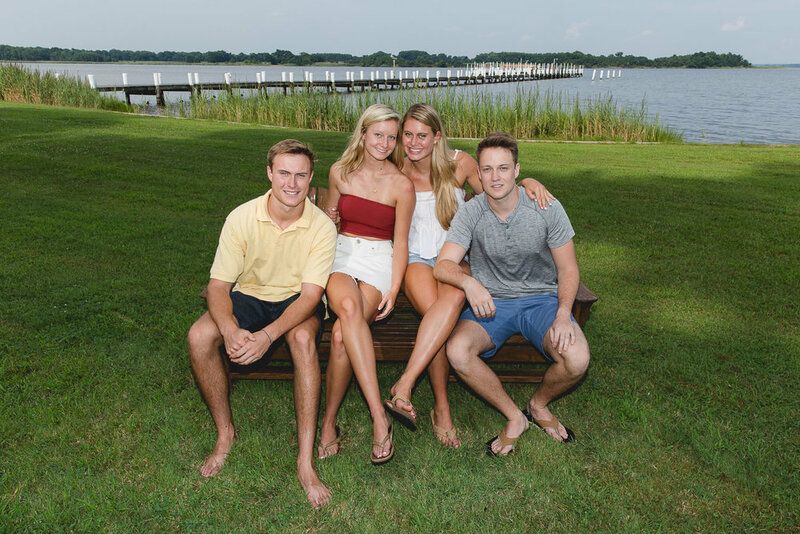 As a nature-and-water-loving family, this is one of their most favorite summer activities to do as a family and they now have pictures for their kids to always have. 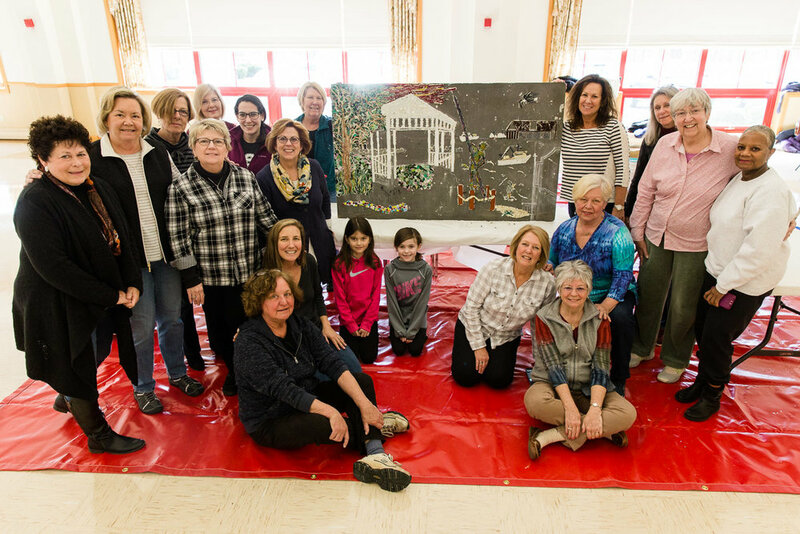 After witnessing her in action in Centreville, the Rock Hall Garden Club (RHGC) commissioned mosaic artist Jen Wagner to create a mosaic for the town of Rock Hall, Maryland. With input from the town, Jen created a sketch of many of Rock Hall's most prominent landmarks, the first step in the process. 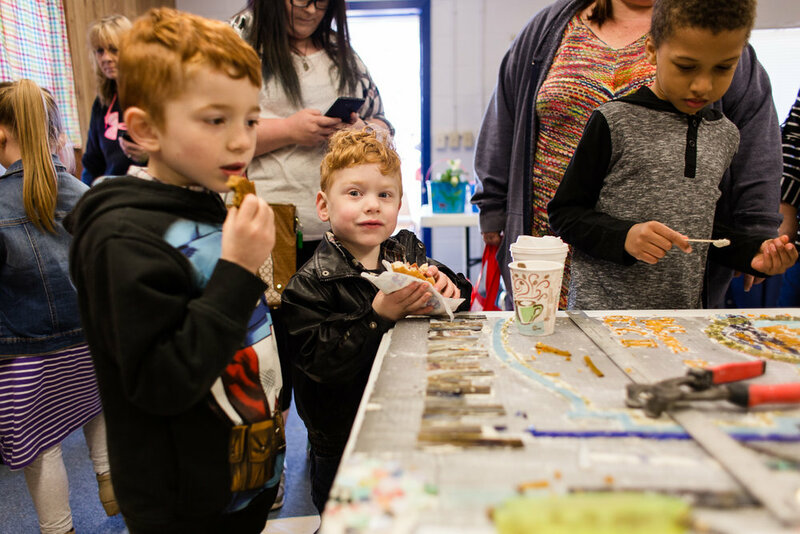 Then, over the course of a couple of months, the RHGC organized several community participation days in different locations throughout the town like the municipal building, elementary school, fire department, and the Easter egg hunt. 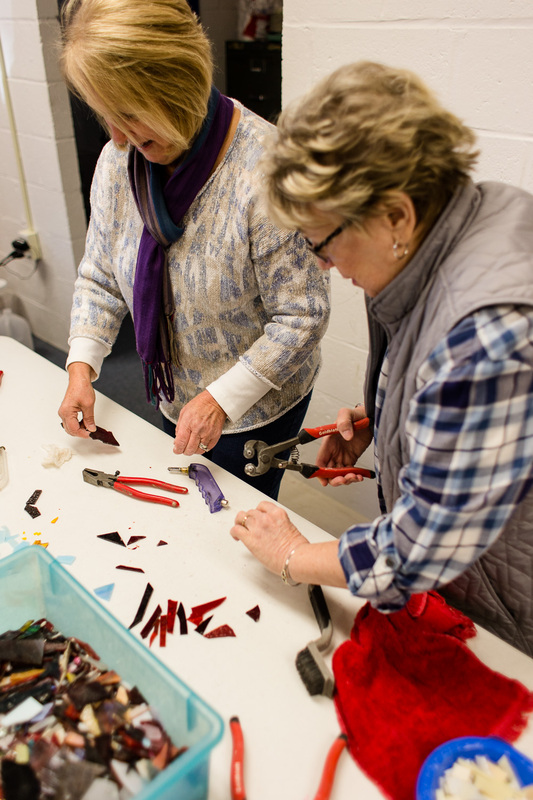 Jen and members of the RHGC were available each of these days to assist anyone who wanted to be a part of the project with cutting and laying glass. I'm amazed at how quickly and beautifully the project came together. 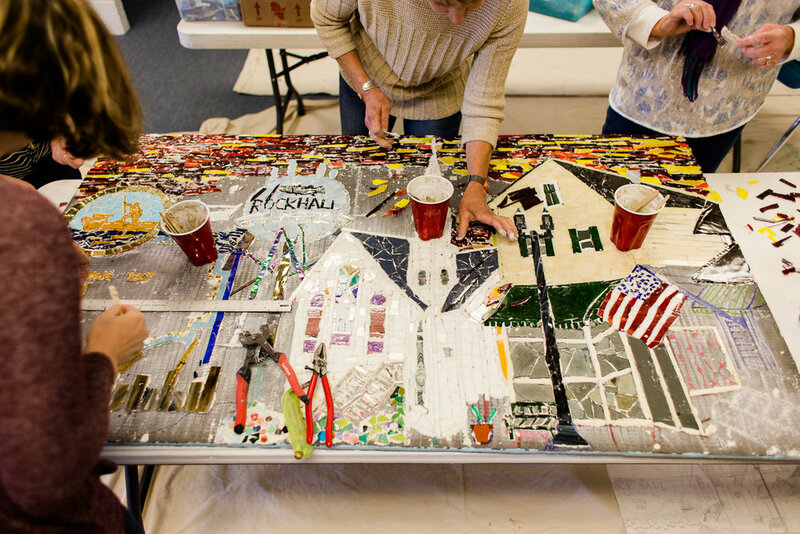 Jen has an incredible talent for taking the essence of a town and turning it into a work of art, made out of glass! And not only that, she helped teach a town (of novices!) to help. It took a tremendous amount of hard work on the part of the RHGC to coordinate this project. I love that they did this for our town and that they organized and encouraged community participation. 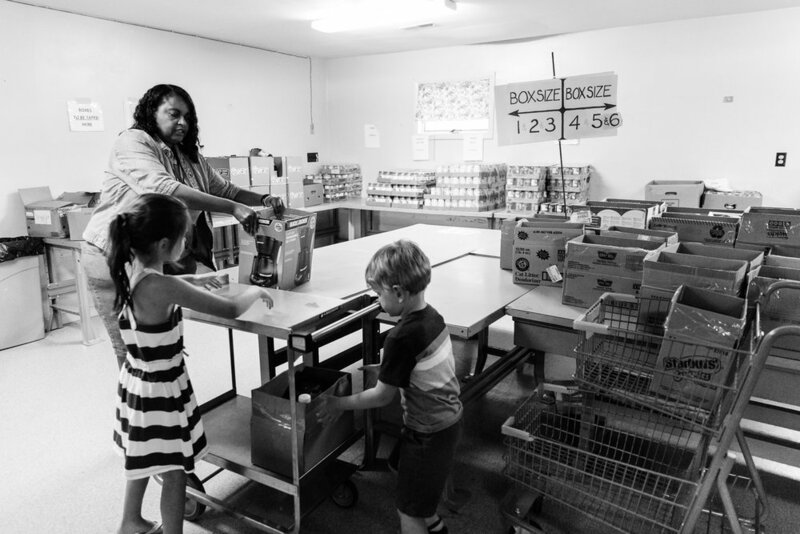 Since I joined the RHGC this past year, I've been amazed by how much they contribute to the town! 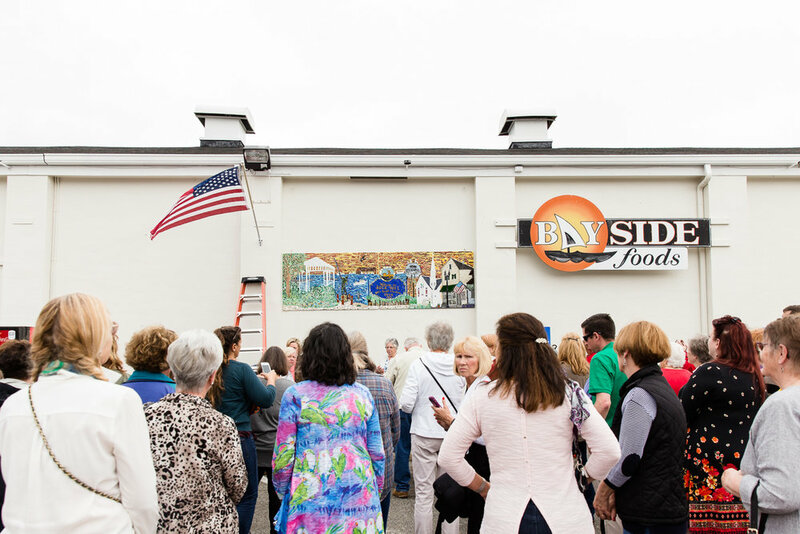 From the town sign to the gazebos at the beach to the flower pots along Main Street to so much more, they have done so much to beautify our town and we're so lucky to have them. 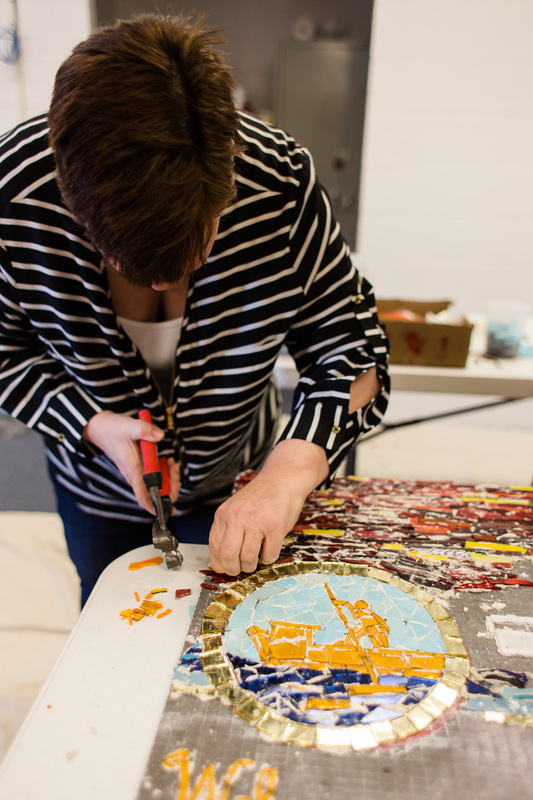 Much of the money they use to fund projects like the mosaic and the ones listed above come from the Rock Hall Garden Club Annual Plant Sale. One of the very best ways you can support them in their efforts to give back to the town of Rock Hall is to stop by the plant sale and buy something for this year's garden or for Mother's Day. Hi, I'm Jen. 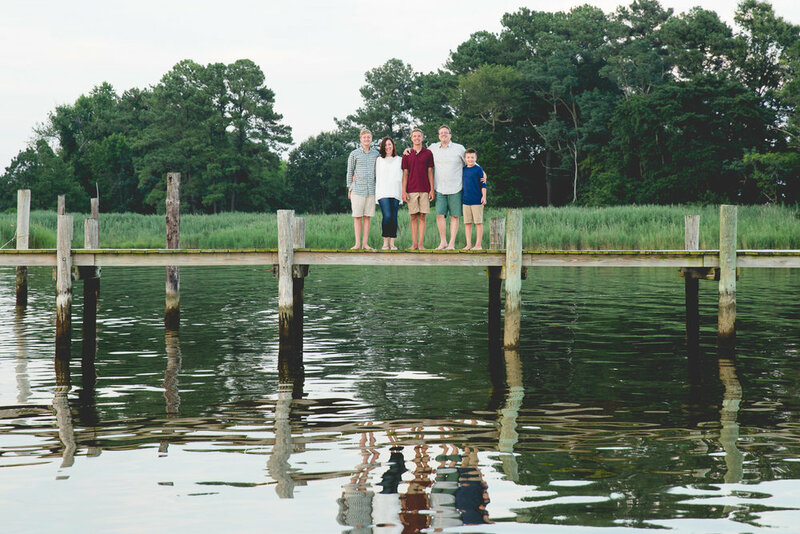 I'm a suburban mechanical engineer turned Eastern Shore family storytelling photographer. I'm also an observer. A family historian. A legacy preserver. 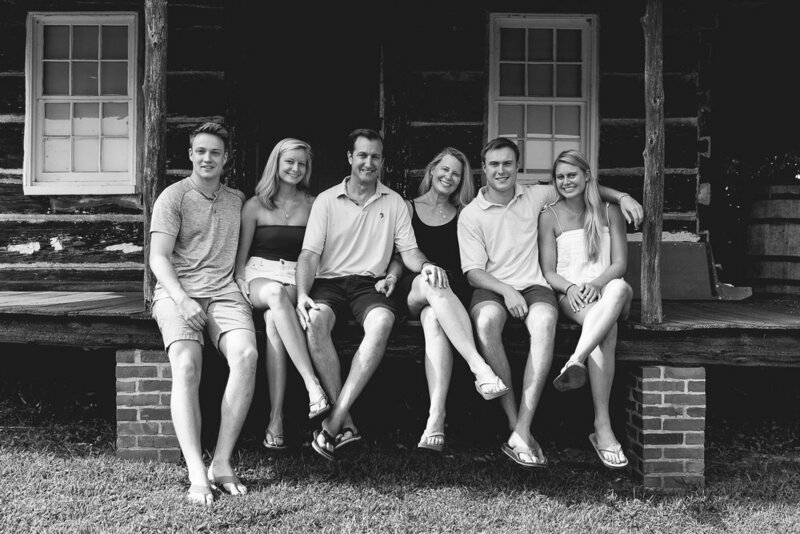 I create authentic photographs full of emotion and heart that help sentimental families maintain a nostalgic connection with their past (such as this extended family photo session at Spring Cove Manor in Rock Hall). What a fun day! 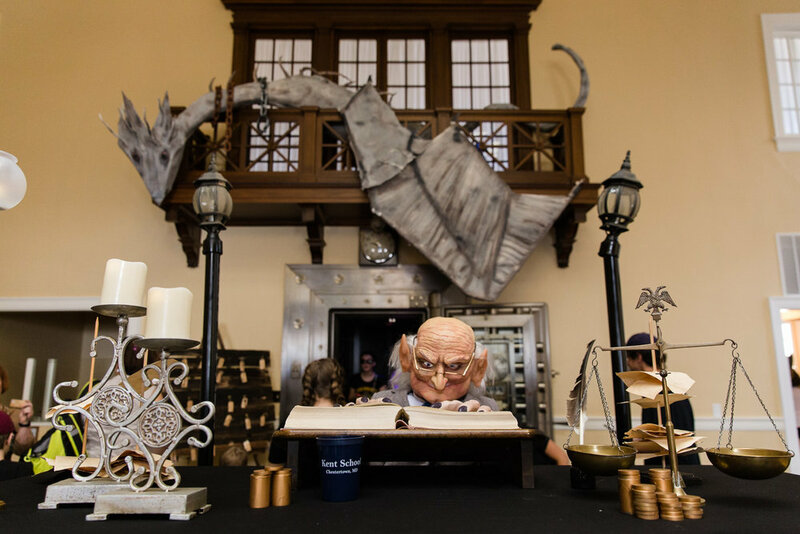 As always, this year's Harry Potter Festival in Chestertown, Maryland did not disappoint. A few of the images I took that afternoon are shown here. Don't miss the link at the bottom of this post for my gallery of all of my images. Check and see if you're in there and download your copy. 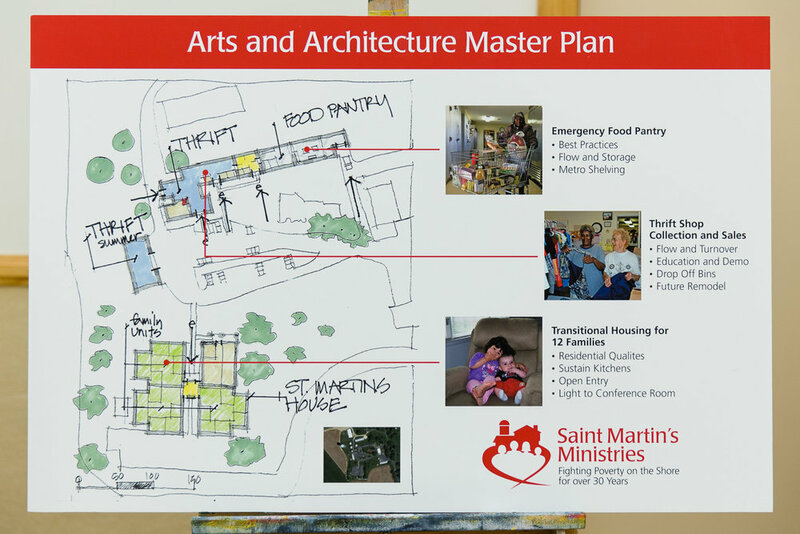 Not long after moving to Rock Hall, Maryland more than two years ago, my family began to learn about Saint Martin's Ministries and how they're helping fight poverty here in Kent County and throughout the Eastern Shore with their transitional home for women and families, thrift store, food pantry, and eviction prevention assistance. After photographing their Annual Arts Dinner and Auction fundraising event for the past two years, I had the privilege of joining the planning committee for this year's upcoming dinner (more details and to get your ticket, go here). And with that, I had the honor of visiting Saint Martin's for the first time earlier this year. 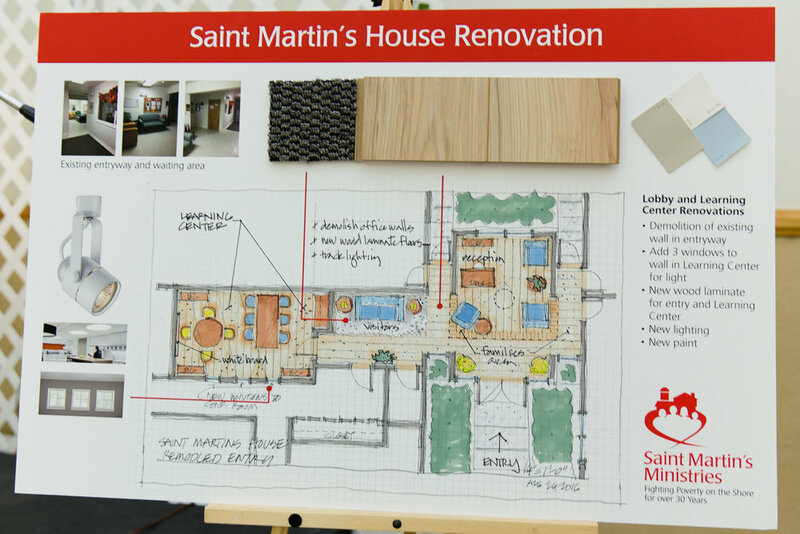 I have a difficult time coming up with adequate words to describe the impact that first visit to Saint Martin's had on me. 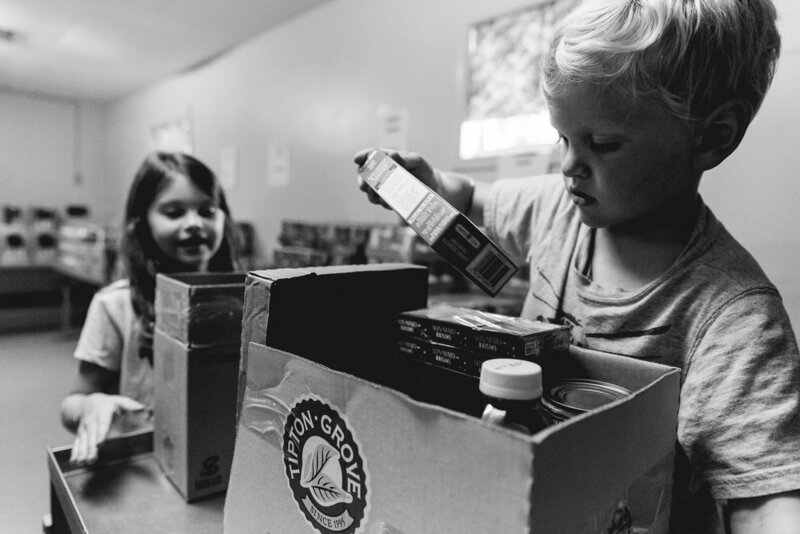 I witnessed a small glimpse into how they are helping our neighbors in need and, with that little peek, I saw how they're truly changing lives in big, impactful ways. To say it inspired me is an understatement. And as you know, inspiration can be quite contagious. 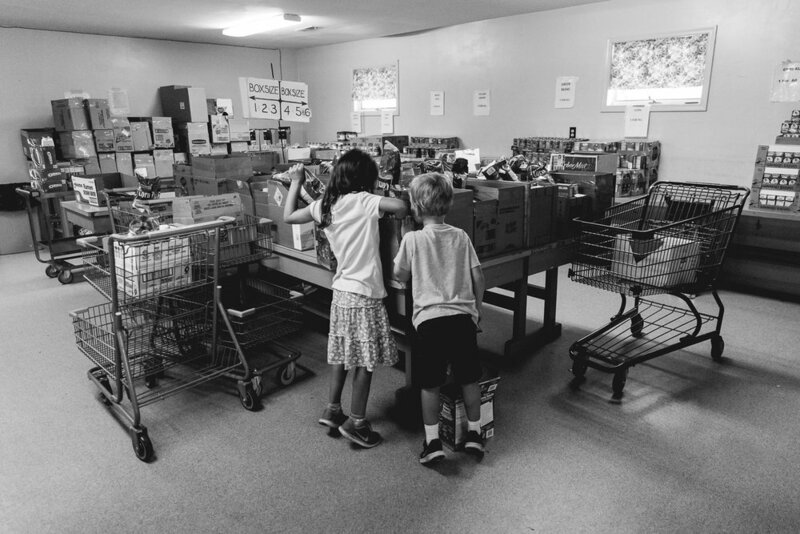 After learning that food pantries are often low on food during the critical summer months when children are home from school; earlier this year, my little ones asked their birthday party guests for Cheerios and peanut butter in lieu of gifts. Afterwards, we delivered the food to Saint Martin's and helped fill the day's food boxes. The day was a success in so many ways. We made a point of returning a few weeks later. We will be making visits on a regular basis. 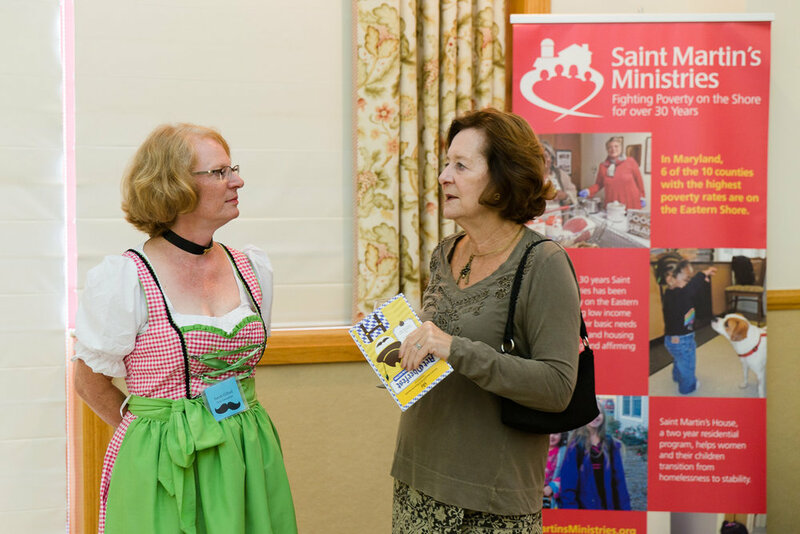 If you want to learn more about Saint Martin's Ministries, stay tuned. I've been working on a project that I can't wait to share with you very soon! 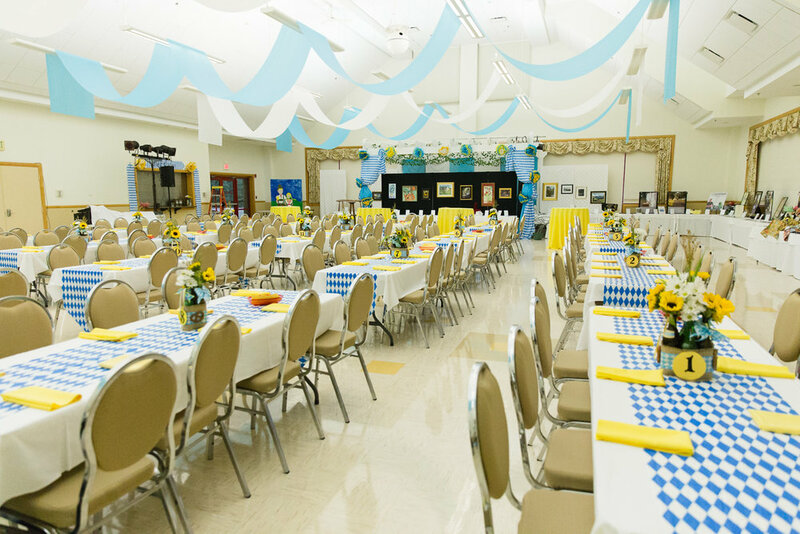 In the meantime, be sure to check out all of the details about the 12th Annual Arts Dinner, Dance, and Auction to take place on Friday, October 13 in the Chesapeake Room at the Rock Hall Volunteer Fire Department. Now that we survived the first week back to school, let's have a little fun. Make sure you scroll through and read til the end. You want to win a free session, don't you? 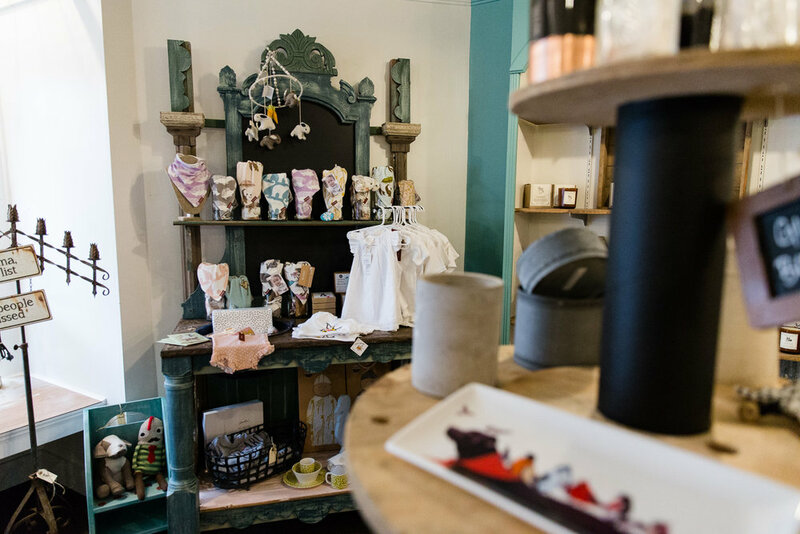 I painted my logo onto a little rock and went looking for a hiding spot in one of the retail shops along High and Cross Streets in downtown Chestertown. 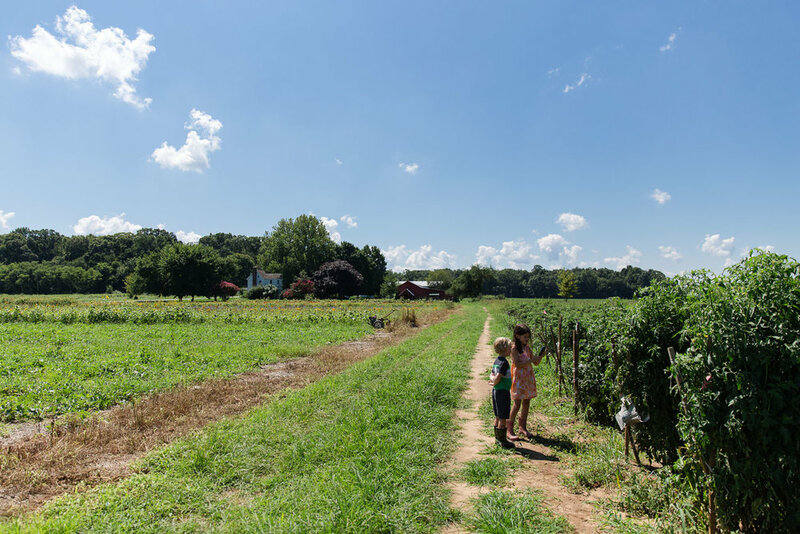 We visited She She on High, Chester River Wine and Cheese Co., and Gabriel's. Then we stopped by the Book Plate, Twigs and Teacups, and Welcome Home (bought this adorable mug!) before settling on the painted rock's first hiding spot. The painted rock found its first hiding spot in these bottom two photos. Your first clue is below. Does the store look familiar (I may have listed it above, or I may have not)? Go find it, and your family will be entered to WIN A PHOTOGRAPHY SESSION with me this fall. There are no strings attached. I will draw a random winner and they will receive the session, files, and print credit as described in this fall photography special. I met Sarah Arnold of Arnold Farms for the first time last Fall. We had a very nice conversation while I was a First Friday special guest at Gabriel's. She told me all about their 70-acre family run vegetable and flower farm. I was intrigued. We ended the conversation with her inviting me to stop by in the summer to see their fields of flowers. Well, I never forgot that conversation! One of my favorite past times is taking in the gorgeous farm land as we get from point A to point B on the Eastern Shore of Maryland. Kent County especially is blessed with the most beautiful fields throughout the entire year. After talking with Sarah, her farm was at the top of my list to see close up. Just this past week, we made arrangements for the kids and I to visit the Arnold Farm, located just outside of Chestertown. Sarah and her son gave us a tour and introduced us to their many animals (much to my son's delight) as well as showed us their fields of tomatoes, melons, flowers, and much more. As you can see, the little photographer came out in my children during our visit, as well. Sarah - thank you so much for opening up your farm to us and taking time out of your busy schedule to show us around. My kids couldn't stop talking about our morning! I'm looking forward to seeing you at the next Chestertown Farmers Market. Did you know that in addition to photographing families, I also take photos for local businesses and farms? Now more than ever, it's important to have photographs that wow potential customers, both online and in print. Am I right? Contact me if you'd like to know more about having me tell the story of your business through a behind-the-scenes photo shoot. For this series, I'm featuring some of the many local businesses and organizations in Rock Hall that my family has come to know and love. If you've never visited Rock Hall, then I hope these images and stories will help you plan a relaxing getaway to this charming town along the Chesapeake Bay, on the Eastern Shore of Maryland. If Rock Hall isn't new to you, then I hope you'll enjoy reading along and sharing these interviews with friends and family in support of these outstanding Rock Hall businesses and organizations. You can see the other places I've featured in Rock Hall here. 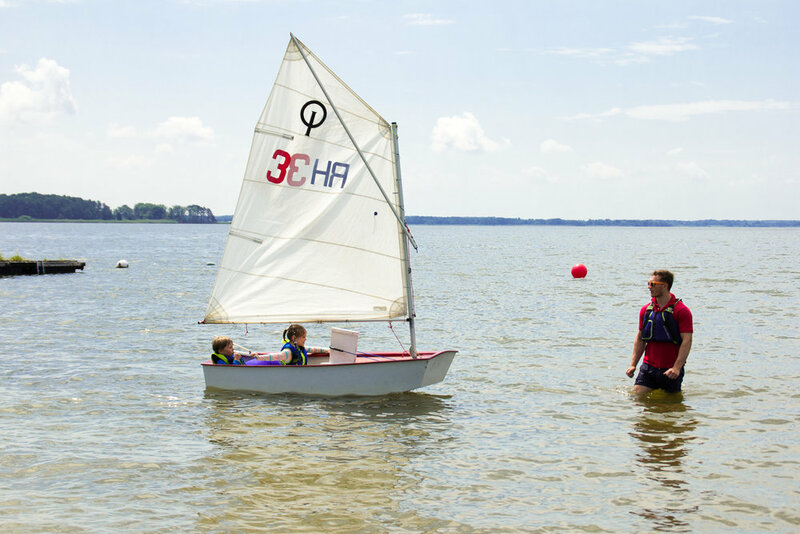 My family is excited for next week and the start of our kids' sailing school at The Rock Hall Yacht Club Sailing School. These photos are from last year and my girl's second run of Pee Wee lessons. 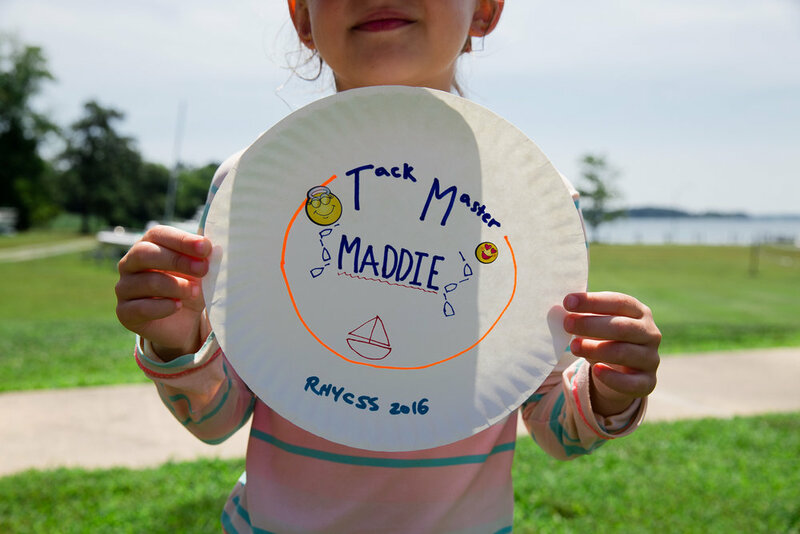 The mission of the RHYCSS is to instill a lifelong love of sailing and the water in children and adults by teaching sailing skills in a structured, safe and fun environment. 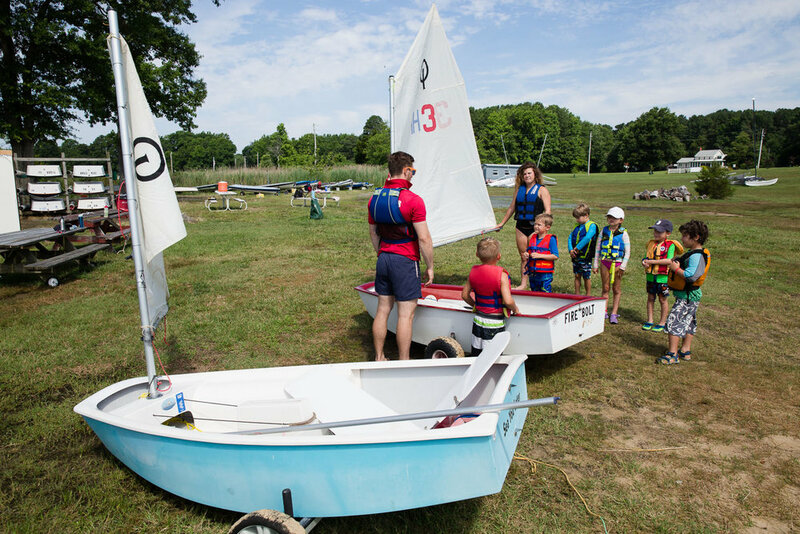 Each class is small in size and lead by at least two U.S. certified sailing instructors, allowing for lots of hands-on teaching. 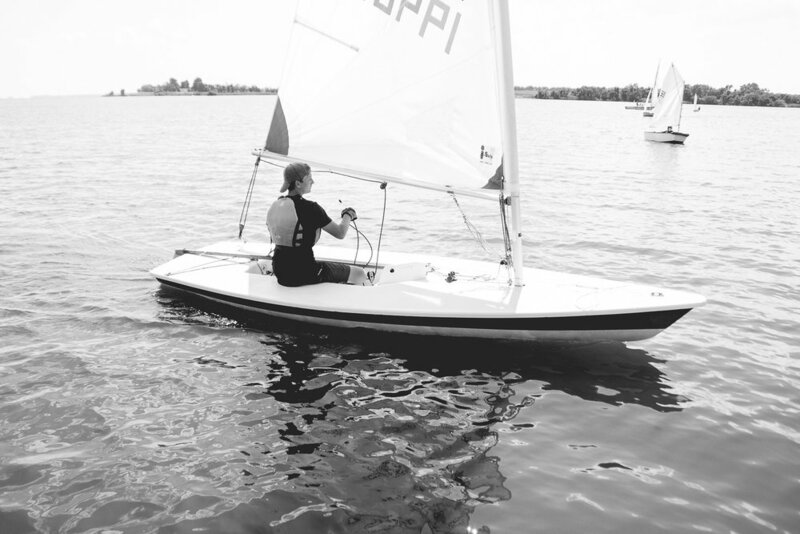 I really like that the instructors are young adults, usually college and high school students, that are able to teach the kids how to sail in a fun and relaxed environment. I know my kids wouldn't want to come back each year if the days weren't having fun as they learned. 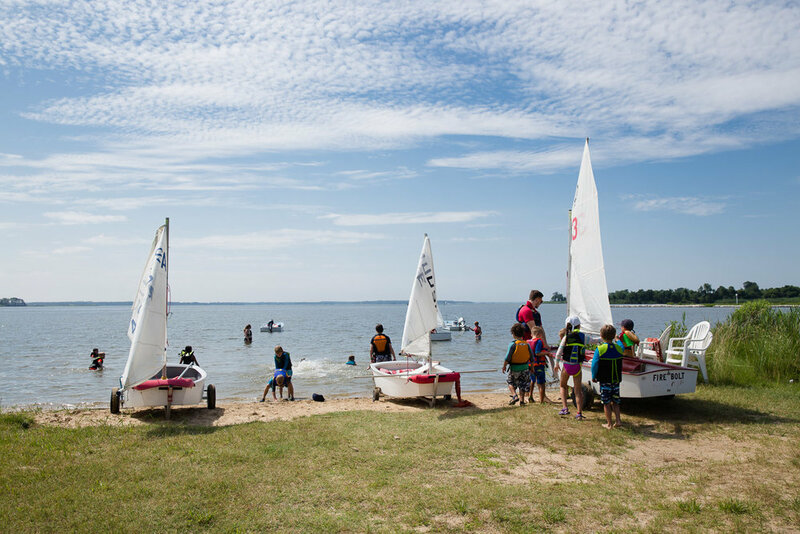 In Pee Wee, they learn about the anatomy of a sailboat, knot tying, they're taken out on a few different types of small boats, and they get a chance to try their hand at sailing an Opti by the end of the week. It's amazing to me what they learn in just three mornings. My girl was given the "Sweetest Sailor" award after her first lessons two years ago. After her second batch of lessons last year, she was awarded "Tack Master." I was very proud of her progress in just two sets of lessons. 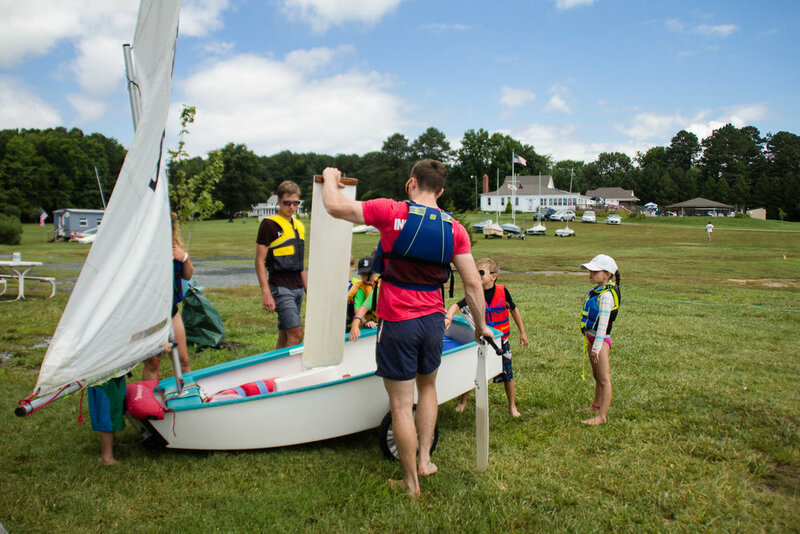 Find out more information about this year's sailing lessons at The Rock Hall Yacht Club Sailing School and how to register your child or follow RHYCSS on Facebook. 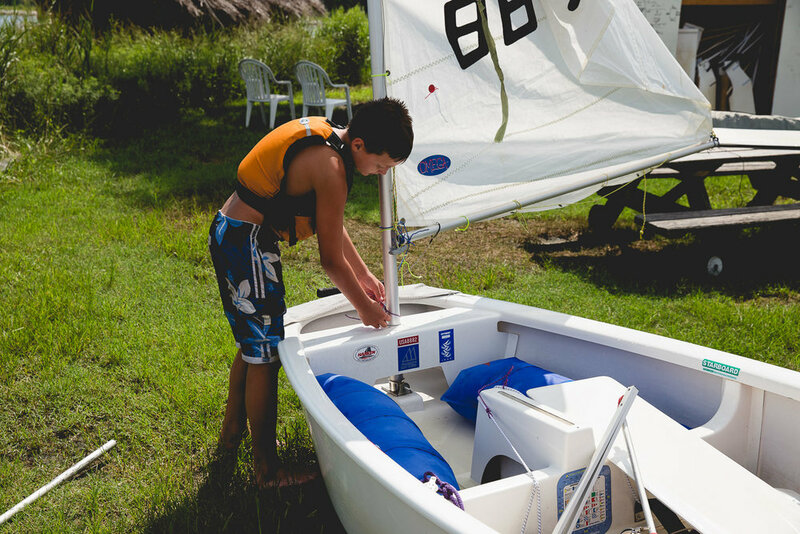 And once your child is signed up (or if they're already enrolled), email me about photographing their sailing adventure. 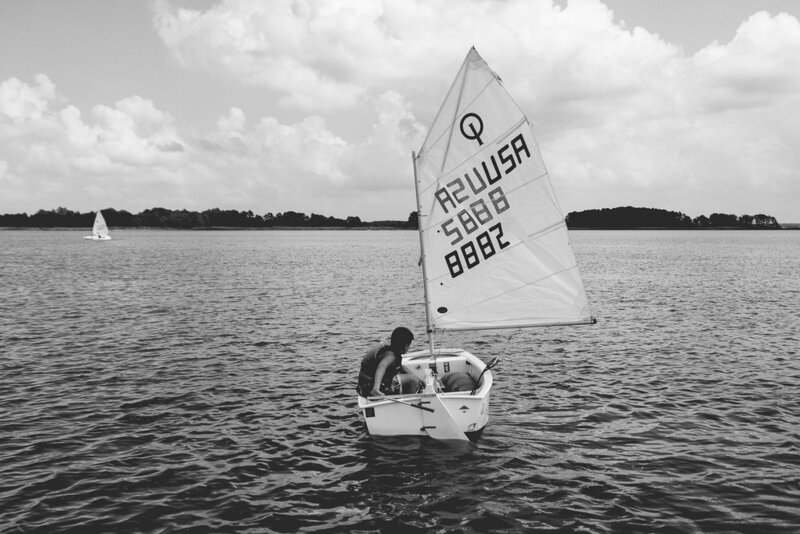 I love doing combo packages that include a family photo session along with sailing pictures of your child, like this one. 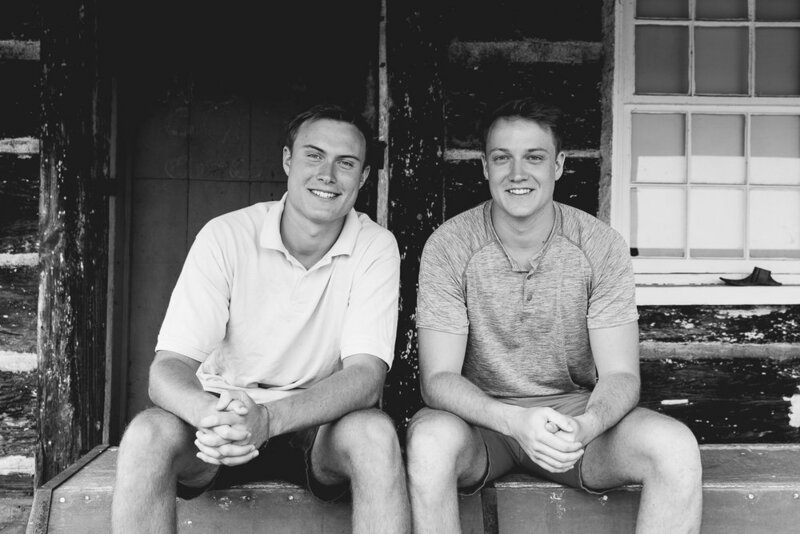 It was the last summer together before their eldest graduated from high school and headed off to college. 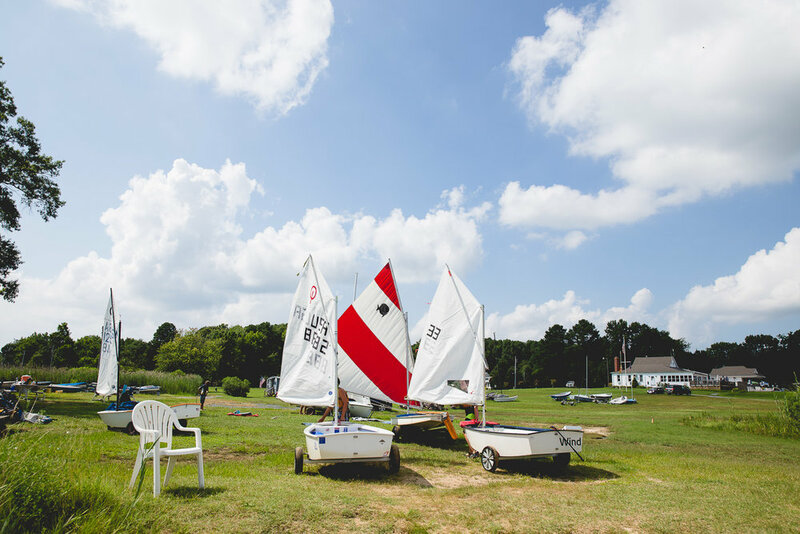 Over the years, Rock Hall has become the place they spend a good portion of their summers with their family on the water, learning to sail at The Rock Hall Yacht Sailing School. It was the perfect time to have pictures taken and the Rock Hall Yacht Club was the perfect place. 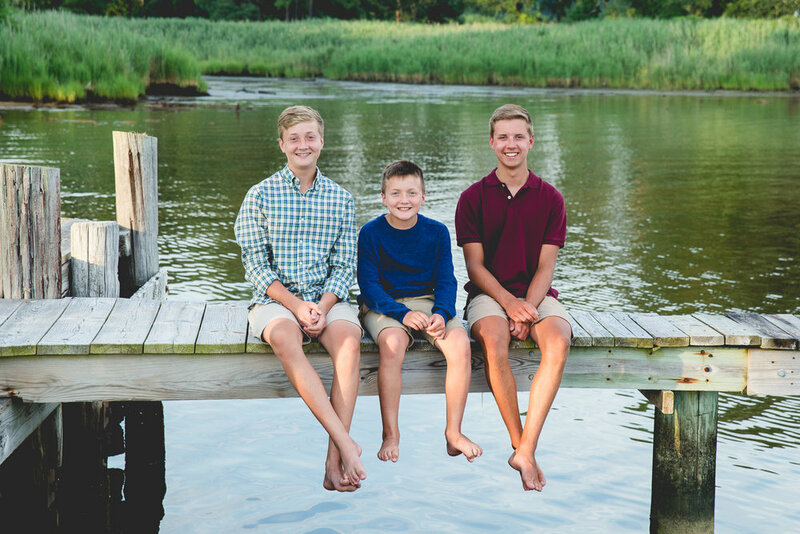 We spent one summer evening last July taking family photographs (mom was particularly excited about having a large family portrait made for over their fireplace) and, just a few days later, I went out on the boat to photograph the 3 boys during their sailing lessons (perfect as a grouping of portraits on the wall). 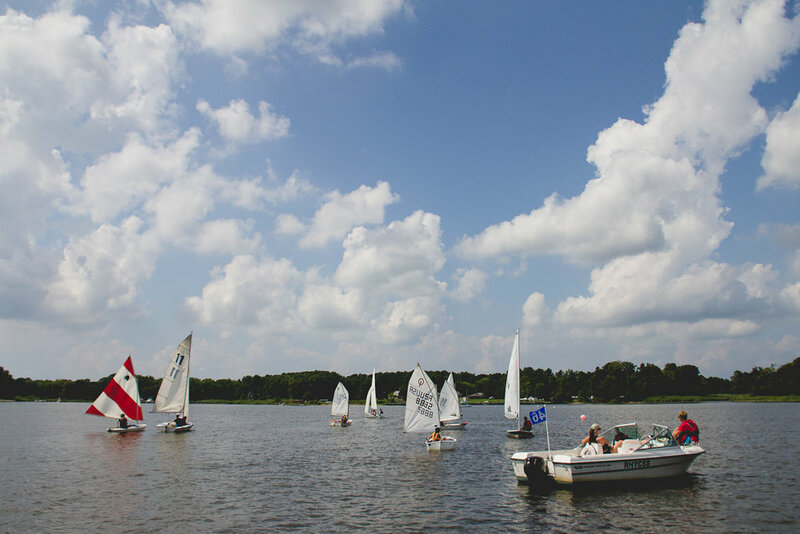 The start of sailing school is here! 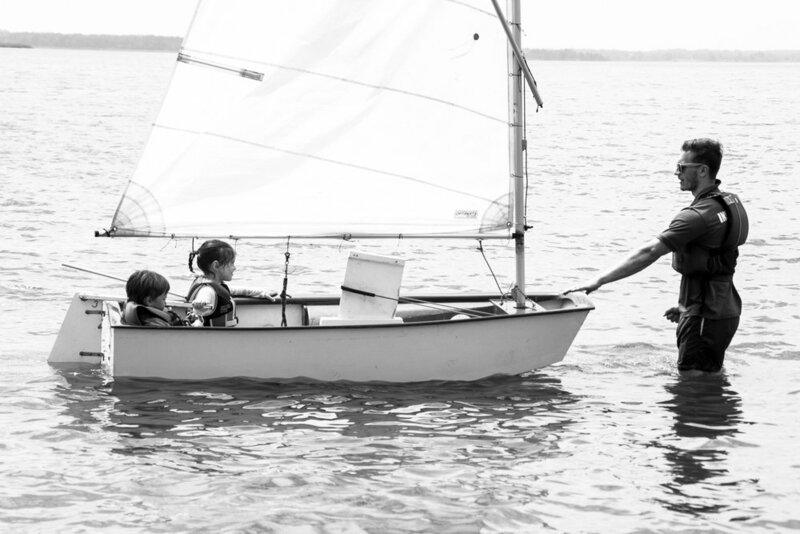 Email me today and find out how you can add on a sailing photo shoot to your family's photo session this summer. When you think of your favorite childhood memories, how many of them take place in the summer? I remember Friday evenings out on my family’s boat. My mom would pick up subs from Poppy’s (oh, how I miss our favorite sub shop! ), and my brother and I would swim at the sand bars in the Susquehanna after dinner. Our annual vacations to Ocean City with my paternal grandparents, aunts, uncles, and cousins will always be a sweet childhood memory of mine. We would all stay within walking distance of each other. One night during the week we’d get together for my grandmother’s peach dumplings, another evening would be a crab feast at our place, and everyday would be spent at the beach with my cousins. It seems like you wait for the warmer, leisurely days of summer all year, doesn’t it? It’s when you make time to slow down, to go outside, and to do more of what you love, with those you love. The kids are out of school. Everyone takes breaks from their commitments and their work. This is the time when the grandkids come to visit. How does your family celebrate the glory days of summer? 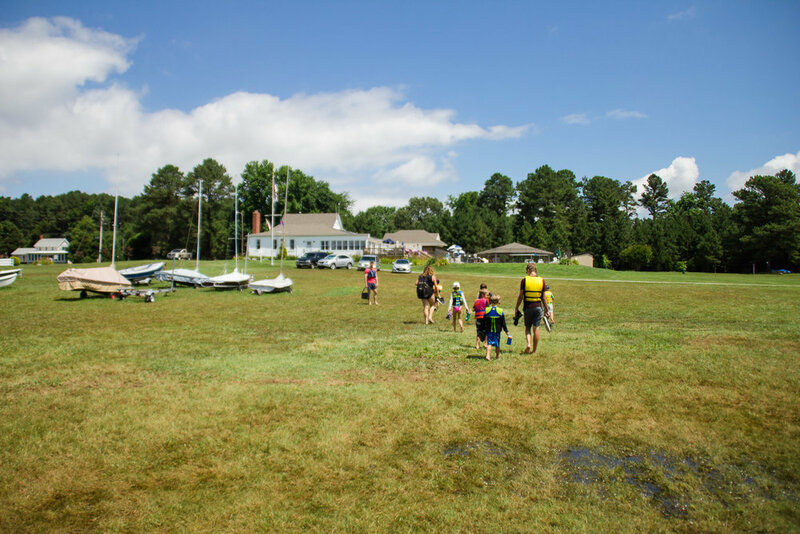 On the water in your family’s boat or kayak? At the beach? Splurging on ice cream cones? Roasting marshmallows around a campfire? At the pool? 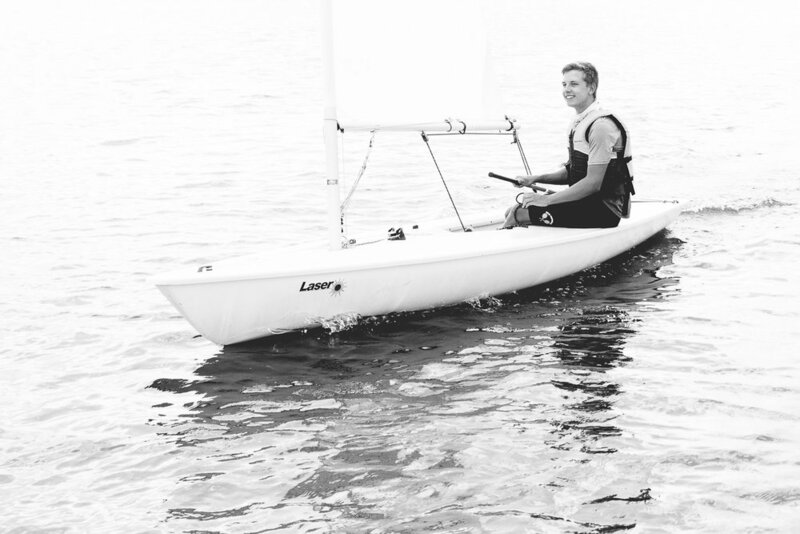 Learning to sail? Hiking your favorite trail? At family BBQs? The possibilities are endless. How does your family soak in the sweet, sweet days of summertime? So many of your fondest memories with loved ones take place in the summer and on vacation. You look forward to these days all year long. Why not have photographs (with everyone in them) that tell the story of your family’s favorite summer moments? Have all of the details recorded, so they don’t grow fuzzy over time. Have the fun, love, and joy your family shares during the summer made into tangible memories that you can come back to and relive when the moments are long gone and your life looks totally different. You can come to me in Rock Hall and Kent County, Maryland or I can come to you, wherever your favorite vacation spot is located – in the U.S. or beyond. I love to travel. I've updated my client guide and all of my pricing for this summer. 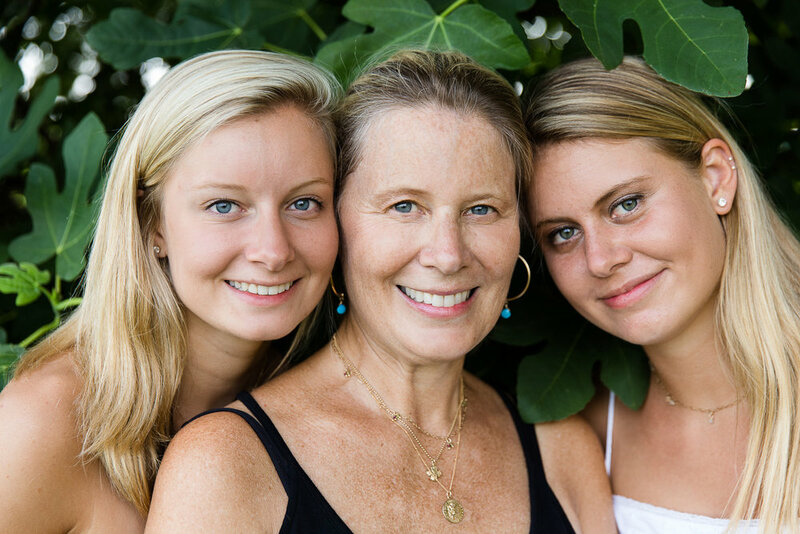 Click here to receive my client guide to learn everything there is to know about having your family pictures taken with me, including detailed pricing info. I remember we quickly grabbed her play engineer's hat as we were walking out the door, to shield the sun from her face. I remember his blonde curls bobbing up and down the aisles. She alternated between picking for the basket and picking for her tummy. He just sat down and ate berries. That was 3 years ago and the start of our yearly strawberry picking tradition. 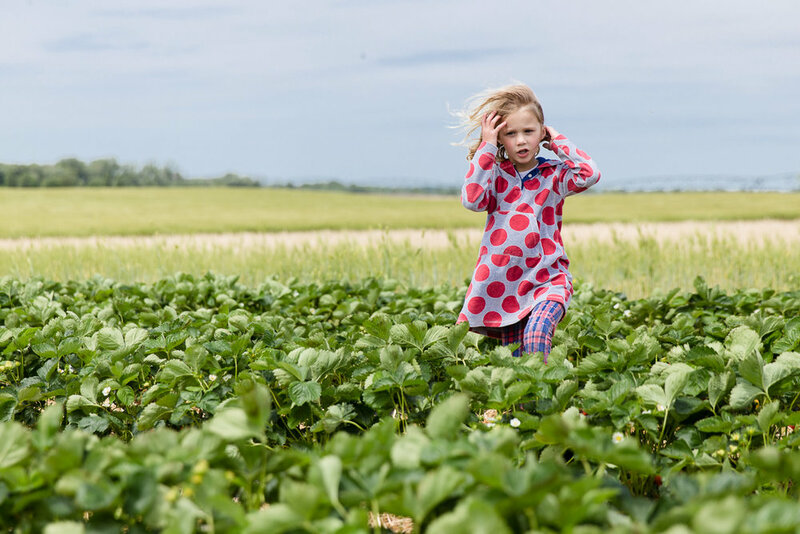 They were just 4 and 2 years old, and it was the first time their parents had picked their own strawberries. Now look at them at 5 and 7 (on the left, above)! After sampling the first berry three years ago, and realizing that only store bought strawberries were bitter, I was hooked. For the last two years, we've brought friends along for the fun (no, we don't have twin blondies!). 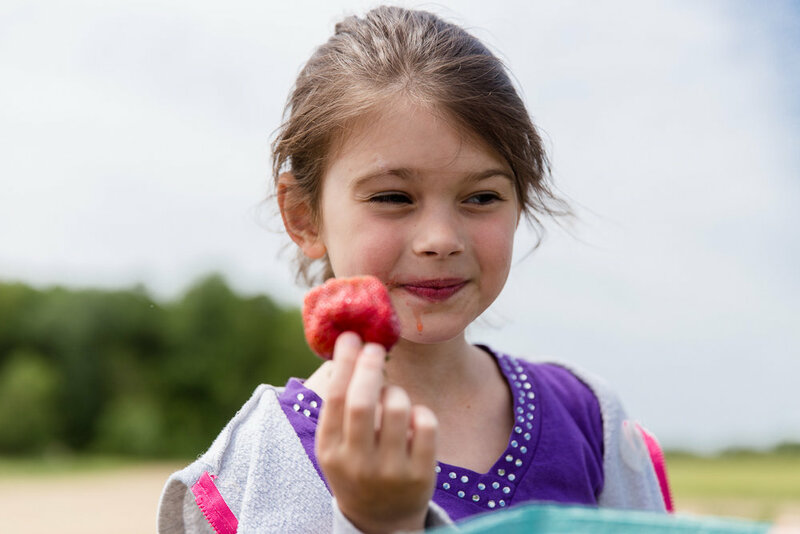 Since it was unseasonably hot when we picked strawberries last year, we went to the farm as soon as picking was announced this year. 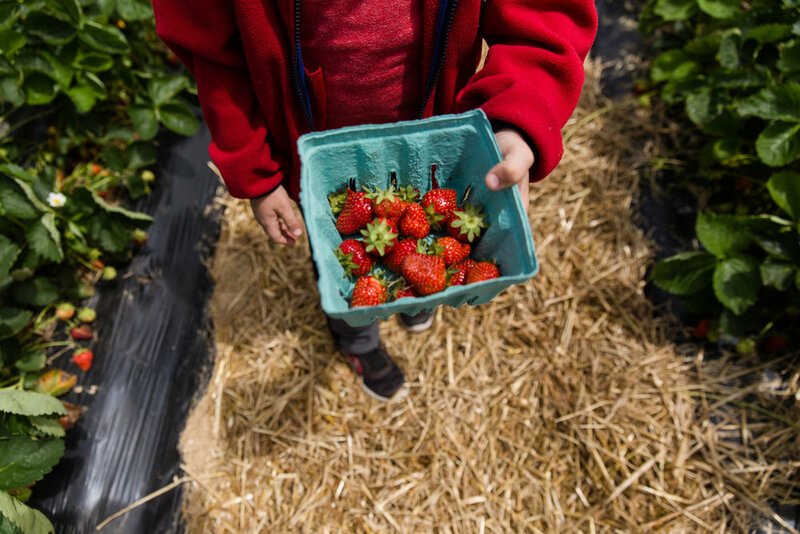 To me, spring doesn't begin until we've picked some strawberries. 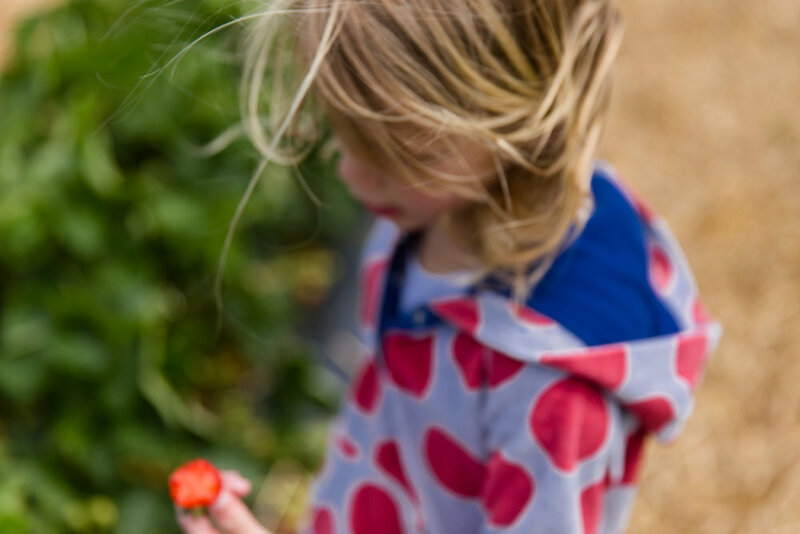 And, we chose the perfect day for us to pick berries, for the kids to run around outside in the fresh air, and for me to photograph everything. Now it's time to make all the strawberry shortcake and jam! 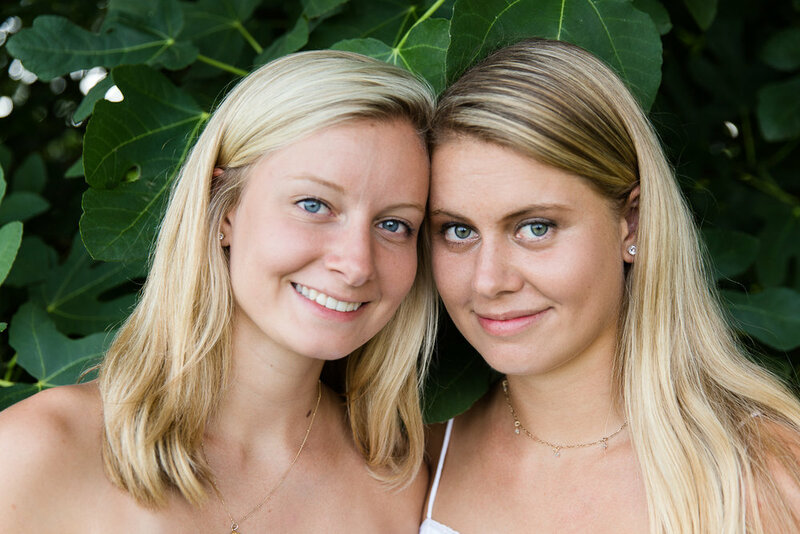 In every one of my photo sessions, we pick an activity for you to do to make your session especially fun and your photographs extra meaningful. You know what would make the perfect spring photo session? 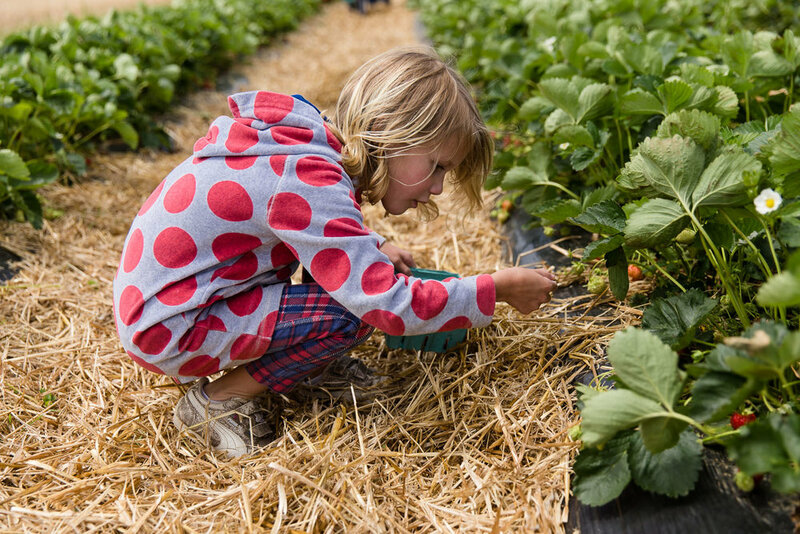 Yup, picking strawberries. Shoot me an email before all of the berries are gone! 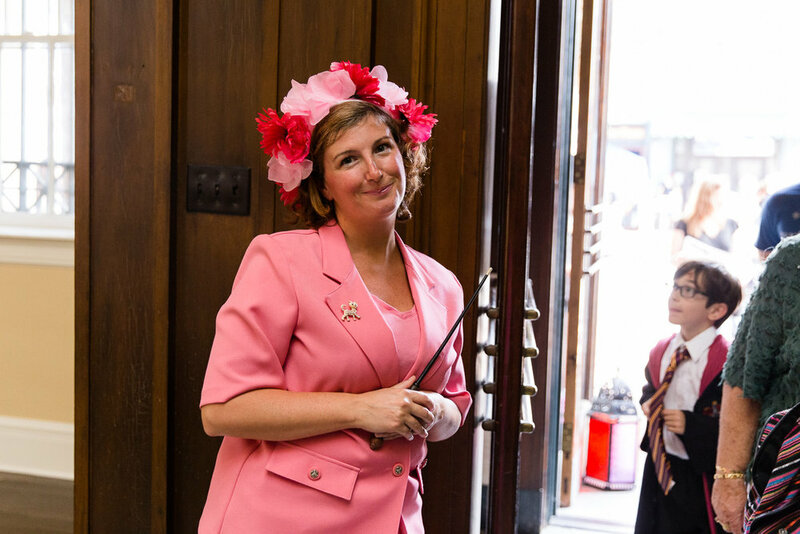 This mama works very hard each year to help organize the Harry Potter Festival in Chestertown. Have you been? It's quite an amazing day of events, one that's made possible by an extremely dedicated and enthusiastic team of volunteers. The two of us met after I offered to photograph the event (click the hyperlink above to see my pictures). Shortly thereafter, we scheduled a spring photo session for their family! 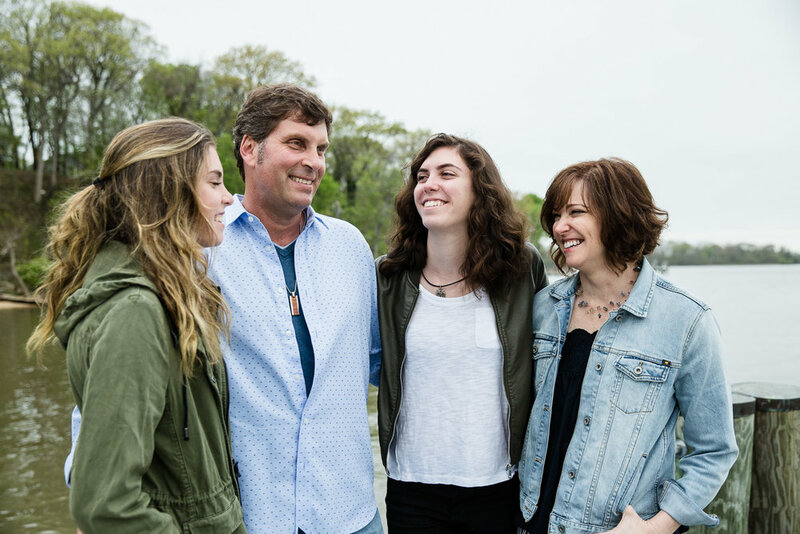 With their eldest daughter's upcoming high school graduation and start of college in the fall, it was important to them to stop and record this chapter for their family, before the next one begins. 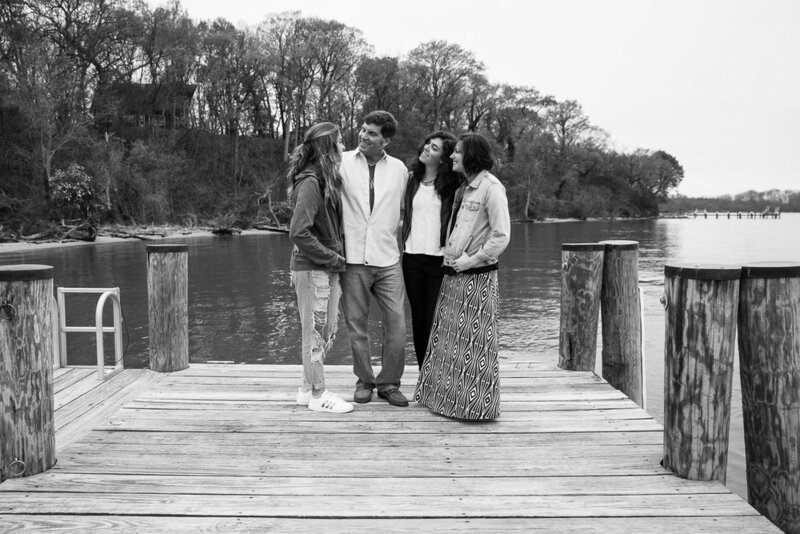 We chose to have their photo session at Kinnaird Point on Still Pond, a place that holds special meaning to them. 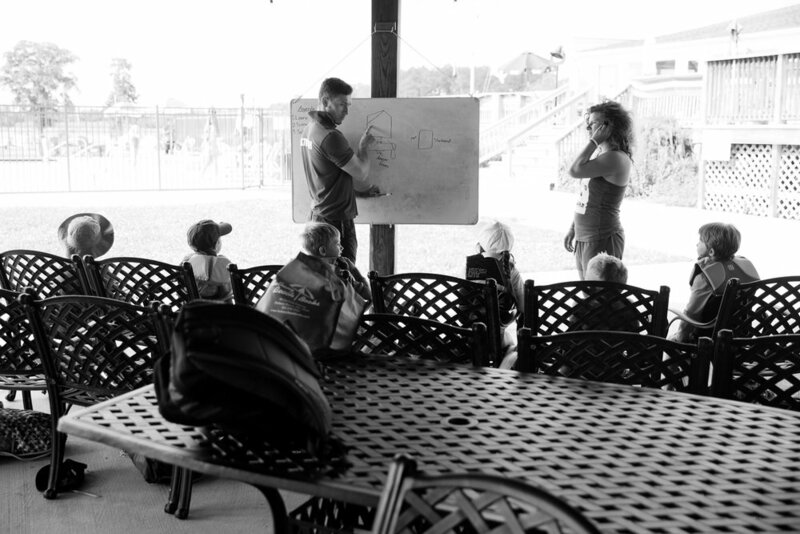 During the planning for every one of my sessions, I help each family come up with something to do during their shoot to help put them at ease while I'm photographing them. This is usually something that they currently enjoy doing together. 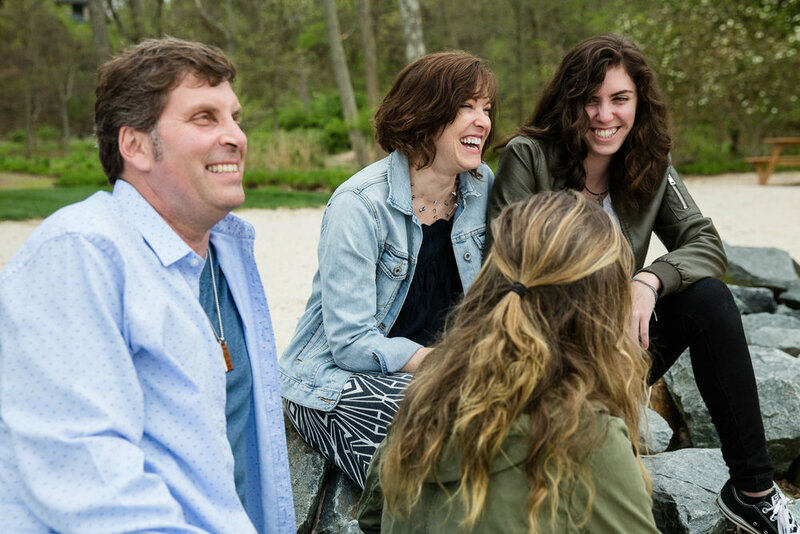 For this family, they chose to take a stroll, chat, make each other laugh, and hang out. As I look through their photographs, I can picture them doing this everyday. In just the couple of hours I was with them, it's clear to me that they're a close family that truly enjoys spending time together. "... as they get older, every moment with them is precious. 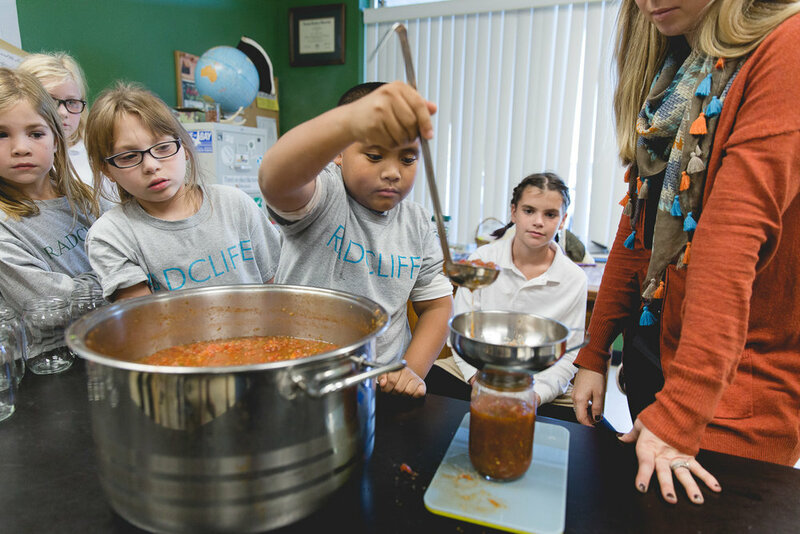 Chatting and hearing about their interests and concerns is more of a focus now than activities." 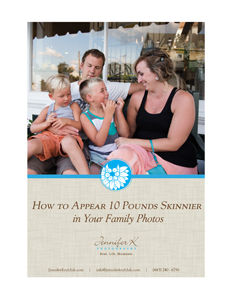 Get your free guide to more flattering photos, & stop hating your family pictures! I always have a hard time with the month of March. This year was no exception. Not only was it cold and muddy, like it is every year in Maryland, but our house was filled to the brim with illnesses, one right after the other. With its warm sun and blue skies, we welcomed April with open arms this past weekend. Spring is our favorite time of year to hike the Duck Inn Trail at Eastern Neck Island, and we had the perfect weather this past Sunday for our first hike of the season. The kids had plenty of energy to burn off, and they were happy to visit their favorite "pirate ship." It's that time again! Another month has gone by. 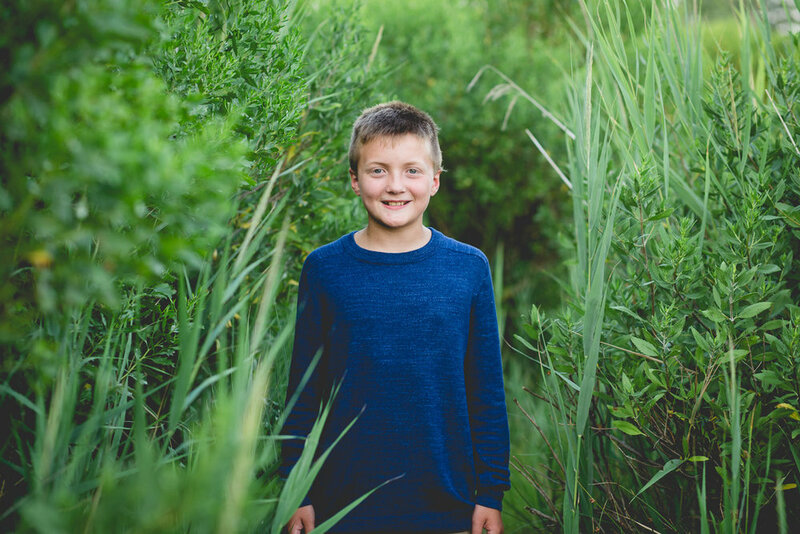 Head on over to the next stop in the 5 on 5 blog circle, and see how Stephanie Woodward, Utah Storytelling Family Photographer, tells a story in just 5 images. My Bohemian great-grandmother used to own a bakery in East Baltimore. One of my prized family heirlooms is a glass cake stand that had been used in her shop. Somewhere along the line, I also inherited her recipe for apple cake. Hers is a dense white sheet cake topped with sliced apples and cinnamon, a crowd-pleaser in a family full of non-chocolate-eaters (I know, right?). I looked at the calendar this past Sunday, saw that October was almost over, and realized our family hadn't gone apple picking yet. It is my favorite month, and October just isn't October without a trip to the orchard. Before the season is over, I need to take a bumpy tractor ride while admiring the blue skies, crisp air, and golden sun; a trio only experienced during Autumn. I need to make my great-grandmother's apple cake. I was also craving warm apple cider and donuts. So, there's that too! My husband was busy with projects around the house. So, I called my longtime best friend, my children's Aunt Jill, and asked her if she was up for a little apple picking. We did something similar last year, and found that the apple orchard is a good halfway point between our houses. Even though it was very last minute, she was up for a little adventure! A tractor took us to the picking rows, and we proceeded to pick a whopping 50 pounds of Fuji apples. We have a lot of apple cakes (and chips and sauce and butter) ahead of us in the coming weeks. I'm a girl who lives for traditions, and I think we just stumbled upon a little Fall one of our own. I can't imagine my kids going apple picking again without requesting that Aunt Jill come along too. It's that time again! 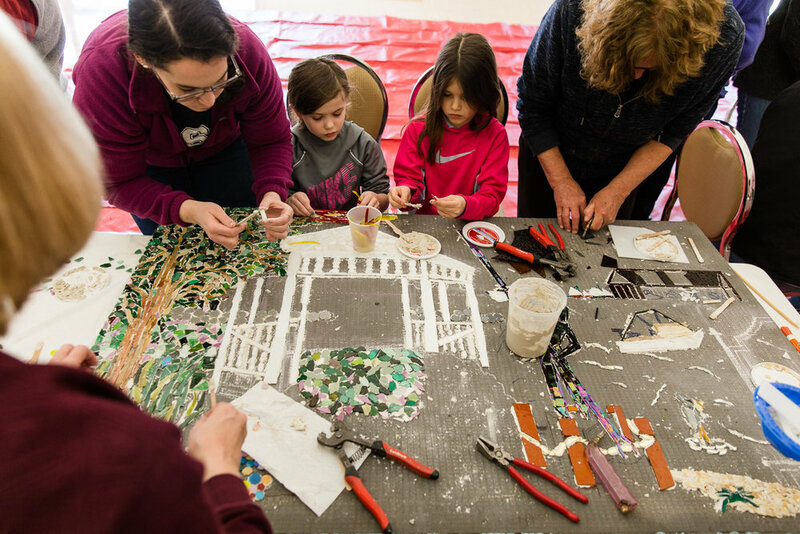 Head on over to the next stop in the 5 on 5 blog circle, and see how Jenny Bowers Southern Michigan Documentary Photographer tells a story in just 5 images. 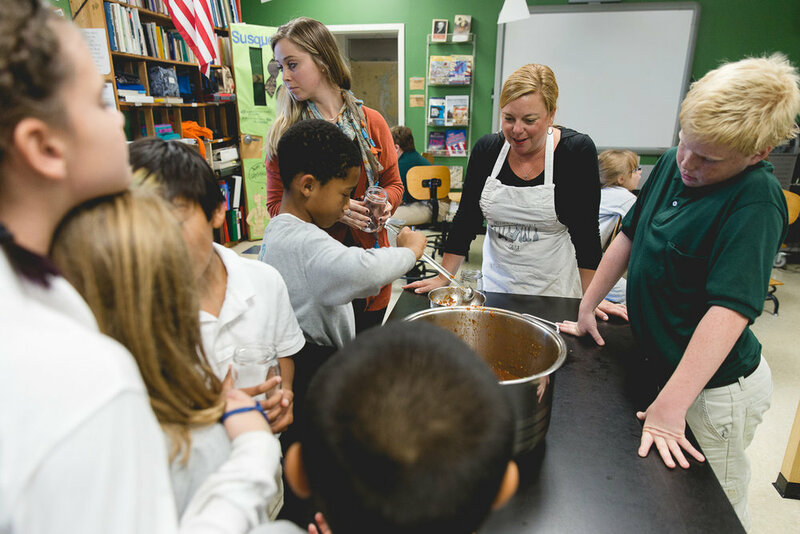 Last week, I had the honor of photographing students in the Baking Enrichment class at Radcliffe Creek School jar 25 very special bottles of Mother Smucker Salsa. 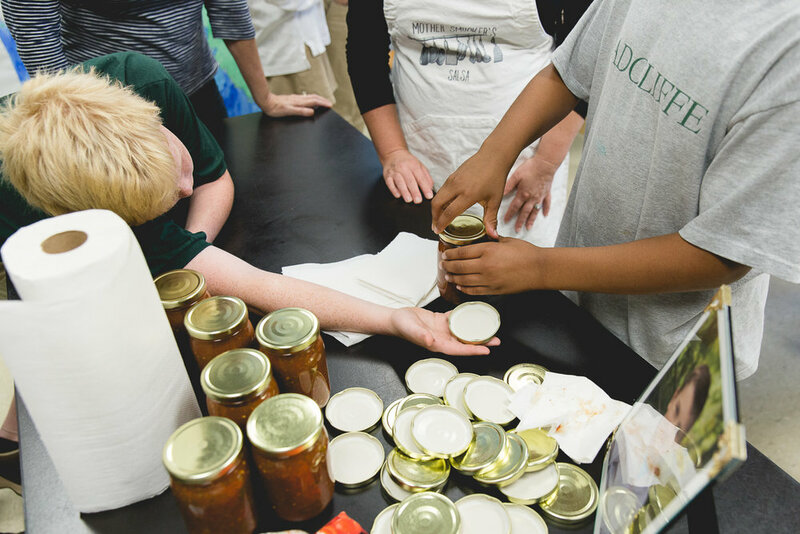 These students and Radcliffe Creek School are partnering with Mother Smucker Salsa (made and distributed by Radcliffe mom, Amber Smucker) for a fundraiser to benefit the Kirby Councell Scholarship Fund. 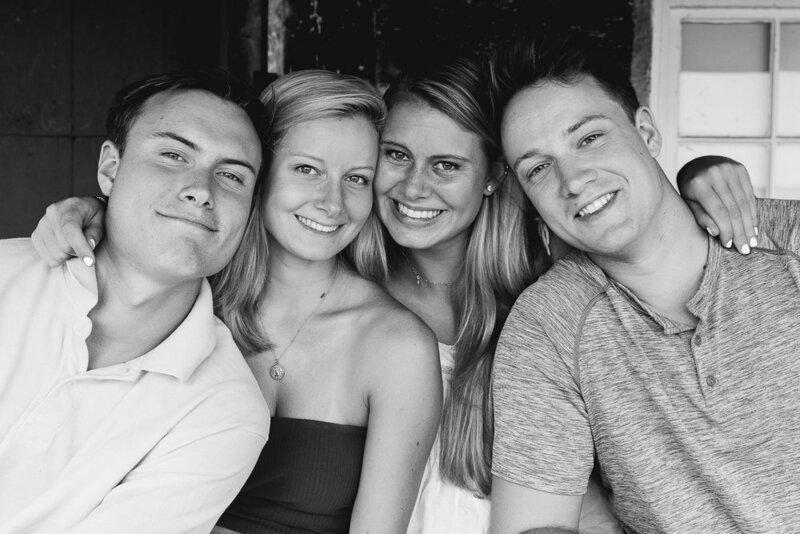 Kirby Councell, a Radcliffe student, passed away in an ATV accident in June 2016. For one week only, all proceeds from the sale of Mother Smucker Salsa will benefit Kirby's fund! My family is new to the Rock Hall and Radcliffe Creek communities, and I just recently met my sweet friend Amber Smucker. As a newcomer, I saw how the community showed up for the Councell family and for each other. Please help these kids continue to do so by honoring their friend. This delicious salsa is perfect for fall football parties and holiday gifts. It is all natural, with no sugar or artificial preservatives and is made in Rock Hall using the freshest local ingredients from area farms. Unopened, the salsa remains fresh for one year and for up to three weeks once opened and refrigerated (I wouldn't know - a jar doesn't last one night in our house!). Click here to purchase your salsa today. The sale will run through Sunday, October 23. 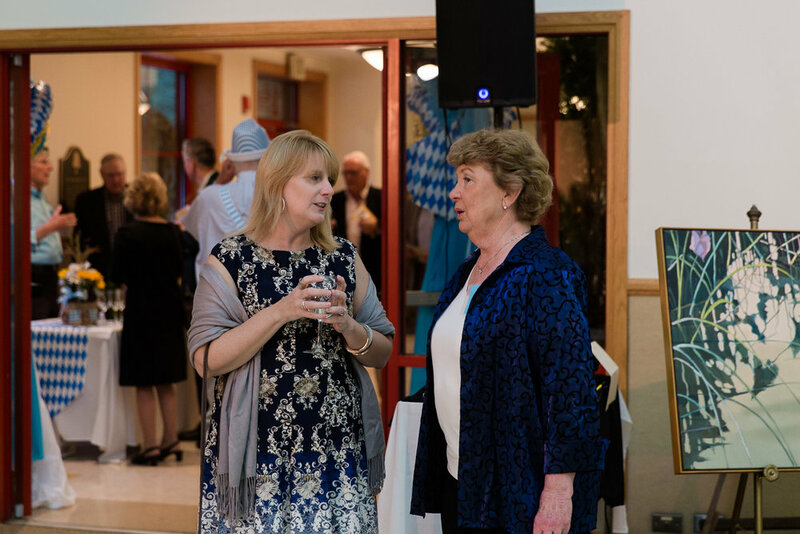 This past weekend, my husband and I attended Art Oberfest, the 11th Annual Arts Dinner & Auction by Saint Martin's Ministries, here in Rock Hall. 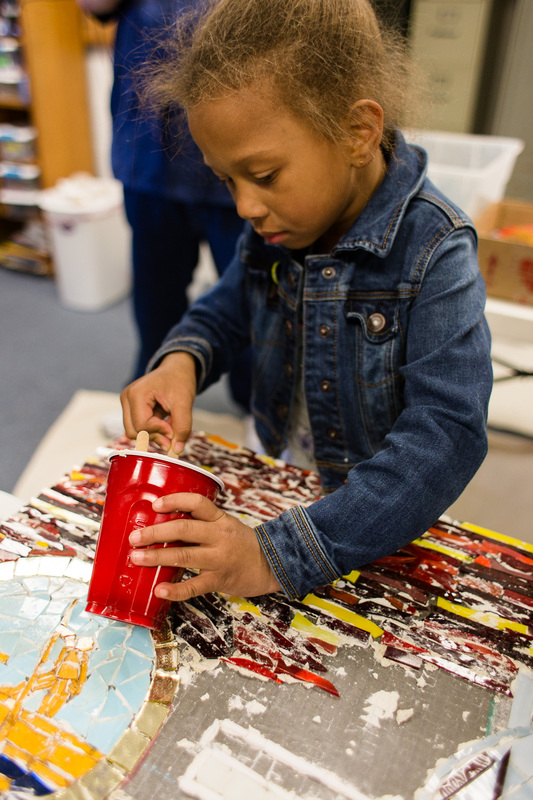 For those of you who are unfamiliar with Saint Martin's Ministries, their mission is to help meet basic human needs of impoverished people, to respect and affirm their dignity, and to address root problems that perpetuate the cycle of poverty. I also photographed this event last year and, once again, I was blown away. Each year, it takes ten months for the planning committee (pictured above) to pull it all together. 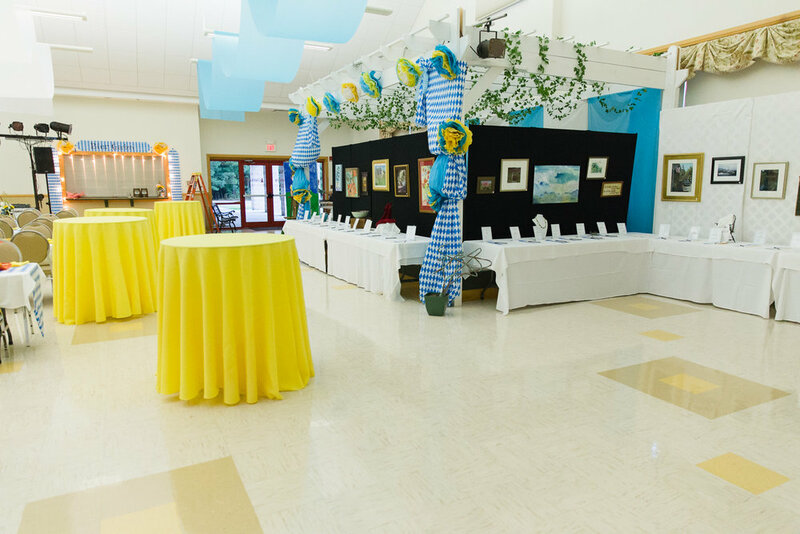 From the decorations to the food to the entertainment to the donated pieces of art, it is an event planned with an enormous amount of creativity, gusto, and fun. 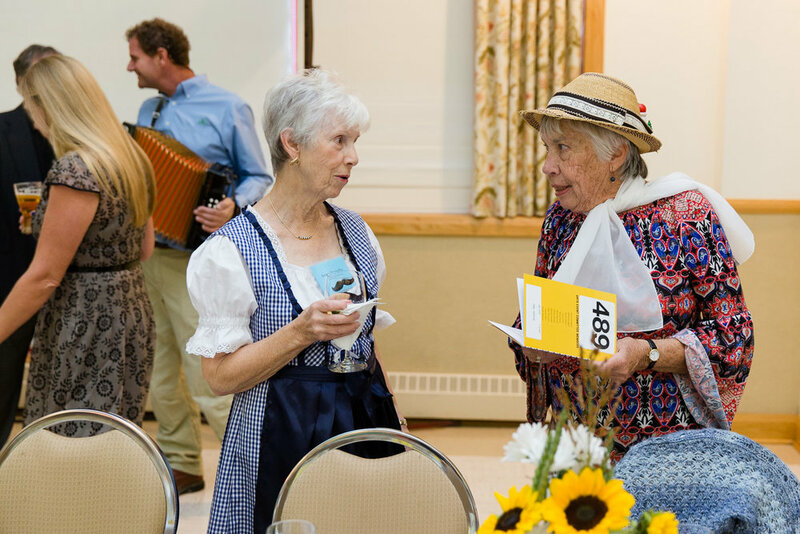 This well-planned evening successfully draws in a banquet roomful of some of the most generous members of our community, ready to support the efforts of Saint Martin's Ministries. 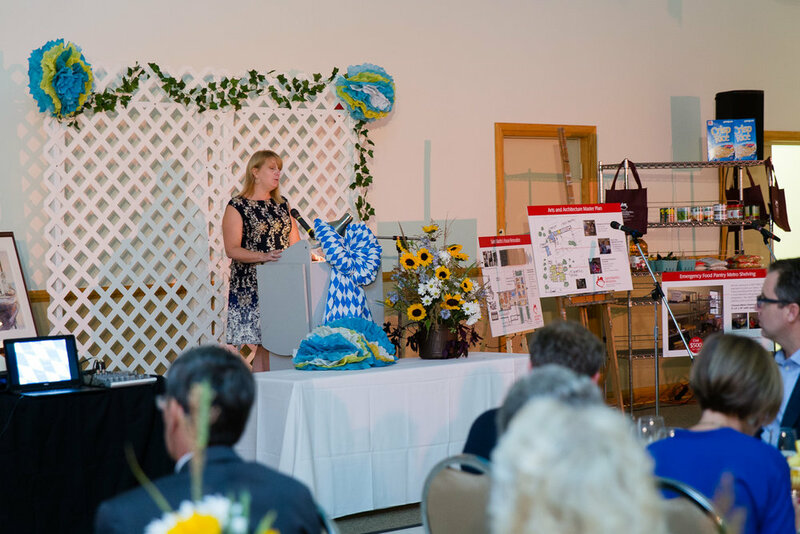 I know for me, I won't soon forget the energy felt in the room that night, especially during the live auction. It was another one of those moments that makes me happy to be a member of this community. Click here to see the rest of my images from that evening. You will be able to easily download any copies for yourself. Once again, I was asking myself "Wouldn't it be nice?". The idea was a little nutty, and it wasn't what we originally planned, but why not? 7 years before, we had asked ourselves that very same question. We had bought our house in Rock Hall, Maryland as a place to get away on the weekends and to go on our yearly vacation. We had taken a leap and dreamed big when we made that purchase. Owning a second house, a vacation home, was never in our plans. At the time, I was working full-time as a mechanical engineer and he was a corporate fraud investigator. We were living the suburban dream in Howard County, Maryland in the Washington, D.C./Baltimore area. 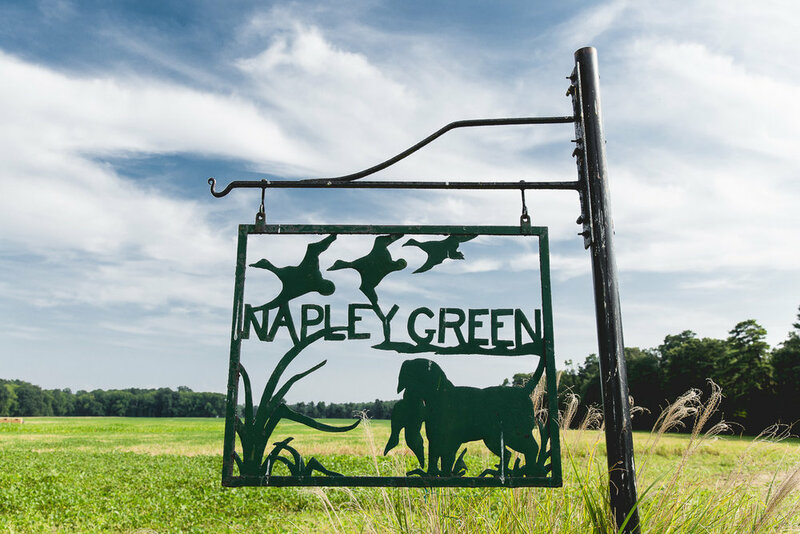 The problem was I grew up in a small town, and this country girl came alive when surrounded by great, big expanses of green fields and blue skies. Add in the waters of the Chesapeake Bay, and I was home. And so was my husband. As it was, we were spending our spare time on the other side of the bridge whenever we had the chance. 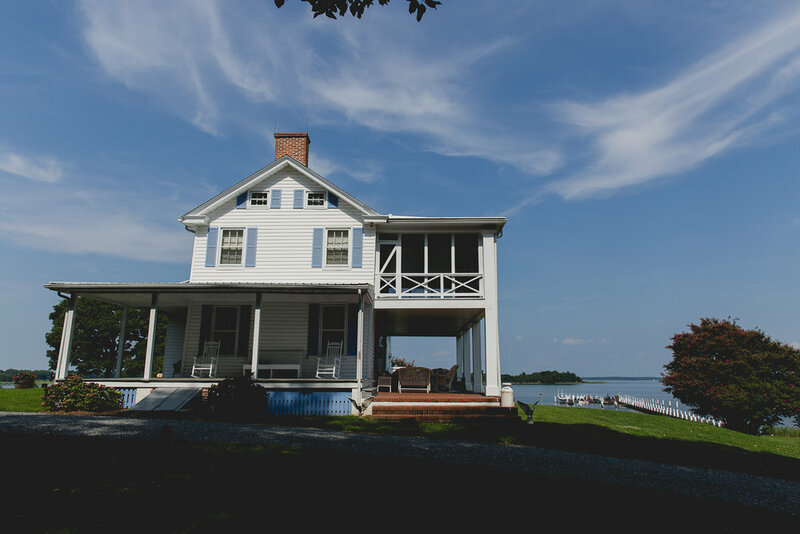 Wouldn't it be nice to buy a getaway home on the Eastern Shore? Every time I ask myself "Wouldn't it be nice?" I do myself a favor, and make it happen. 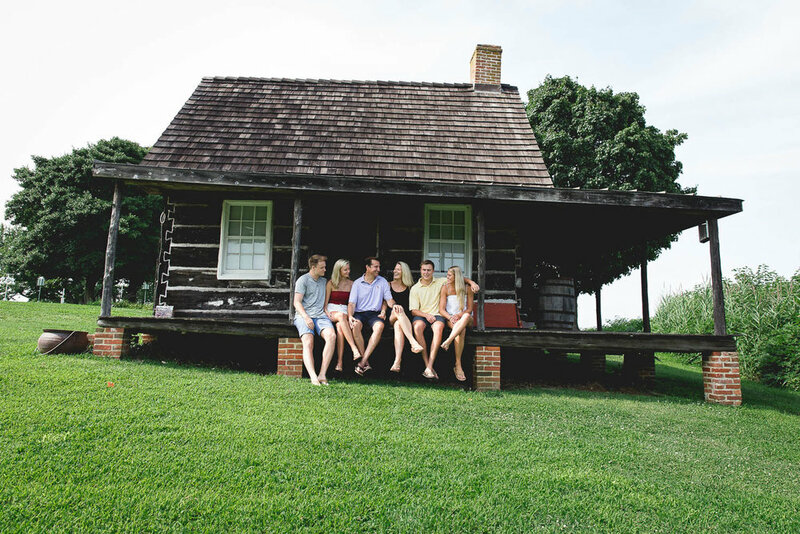 When you think of families that own vacation homes, you wouldn't have thought of ours. To make this dream of ours come true, we worked hard to make more money and to spend less of it. We bought a fixer upper that we could afford, and we worked hard to renovate it and make it ours. Sacrifices were made for us to buy our getaway home in our dream town. 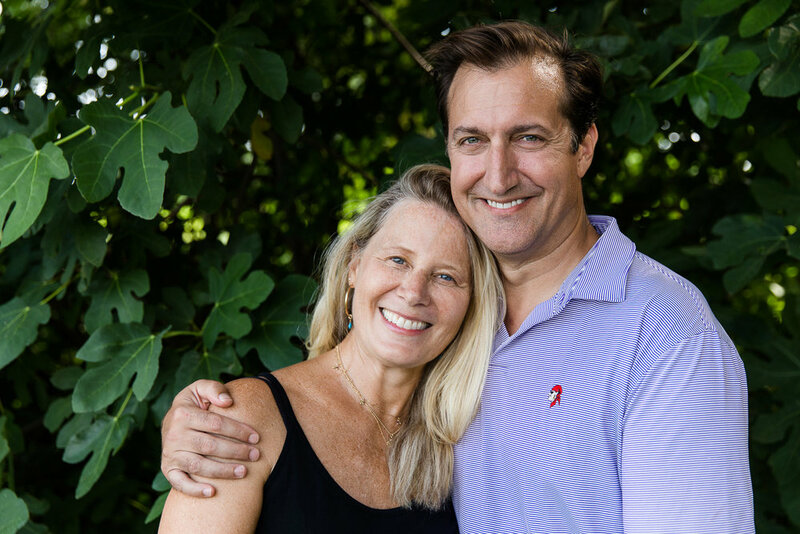 As proud owners of a charming, little vacation home on Maryland's Eastern Shore, we had made our dream come true. Just around the time we completed the renovations, our oldest child was born. That was a little over 6 years ago. Soon after, we welcomed her little brother into the family. Our weekends were spent on the Chesapeake Bay, toting our little ones to the beach, riding them around Rock Hall in our bike trailer, hiking our favorite trails on Eastern Neck Island, and eating ice cream sundaes at Durding's Store. Our weekends grew longer and longer and we were spending less and less time in our home in the suburbs. We were racking up EZ-Pass tolls as we zoomed back and forth over the Chesapeake Bay Bridge several times each week. Our house in the suburbs became the place we stayed as we earned income, while our Rock Hall house became our home. 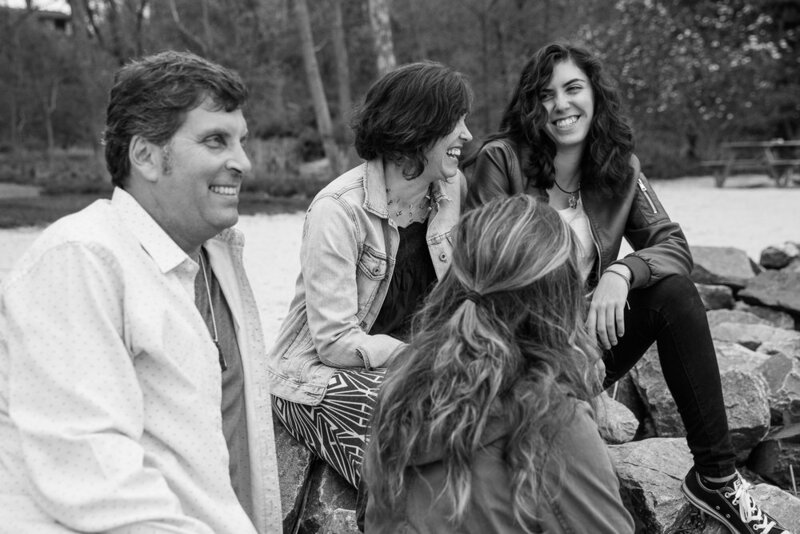 In Rock Hall, our family came alive. "Wouldn't it be nice if we lived in Rock Hall full-time?" And we both knew what happens when I ask "Wouldn't it be nice?". Our house in the suburbs went on the market, I gave up my comfortable engineering job, and he made a big career change. We worked hard to make it happen, and we were living full-time in Rock Hall by June of 2015. Today, as we meet new people and they ask about where we are from, they always say the same thing. "Wow, that's a big change. How do you like it here?" And each time, we tell them the same thing. 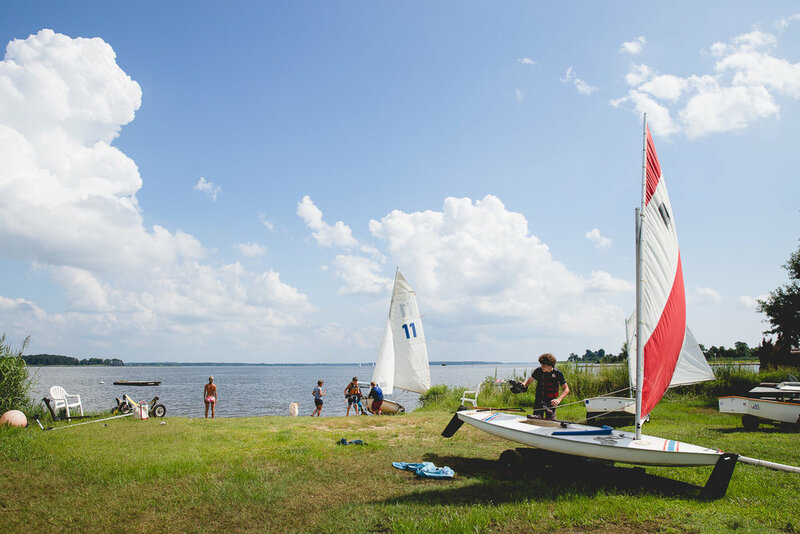 We love the laid back Eastern Shore lifestyle and the small town community of Rock Hall. As a family, we're able to do more of what we love, together. We're slowing down and we're spending more time outside by the water. Just recently, we ended one of our weeks with an evening of crabbing. This country girl and her family are home. It's that time again! 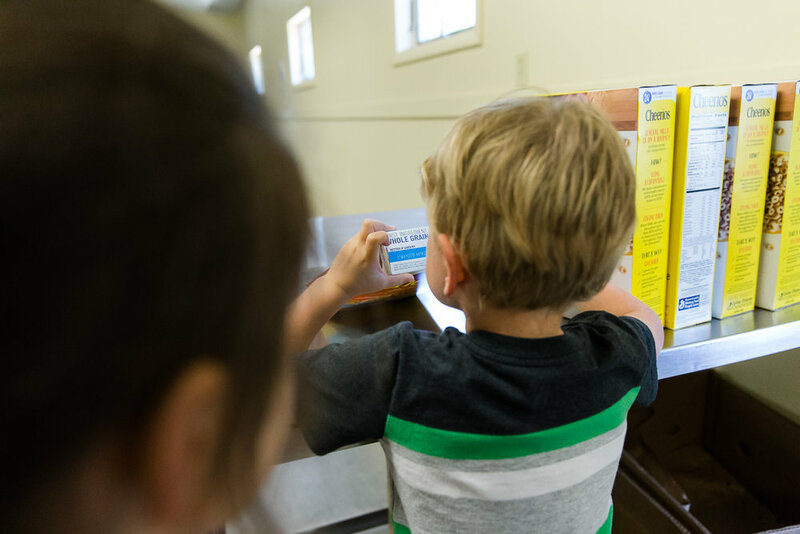 Head on over to the next stop in the 5 on 5 blog circle, and see how Hannah Nielsen, Portland documentary family photographer, tells a story in just 5 images. 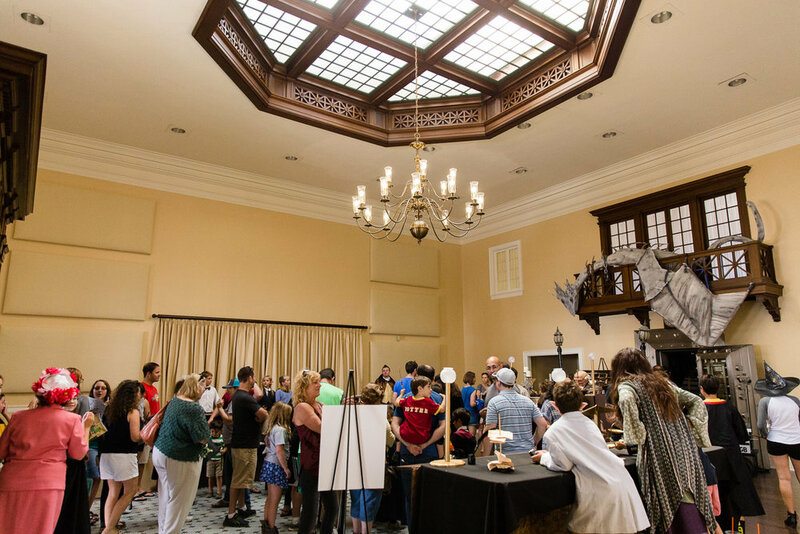 The Harry Potter Festival in Chestertown, Maryland offers jam-packed schedule of fun activities for the whole family. This was my first year attending, and it was also the first year they introduced the Madam Malkin's High Tea at Occasions Catering. I have a separate blog post full of my images taken around Fountain Park on Saturday morning of the festival. You can see the wizard and witch takeover of Chestertown here. This is just a sampling of the many photos I took that morning. I've uploaded all of my images to an online gallery for easy downloading. Don't miss the link at the end of this blog post to peek at the rest! To see the rest of the my festival images and to download copies for yourself, click here. 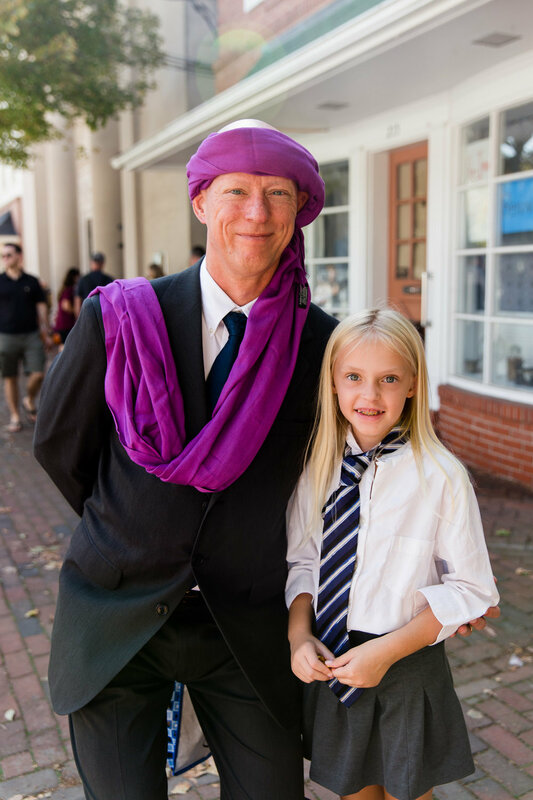 This past Saturday, I had the pleasure of attending my very first Harry Potter Festival in Chestertown, Maryland. Wow, what a fun day! 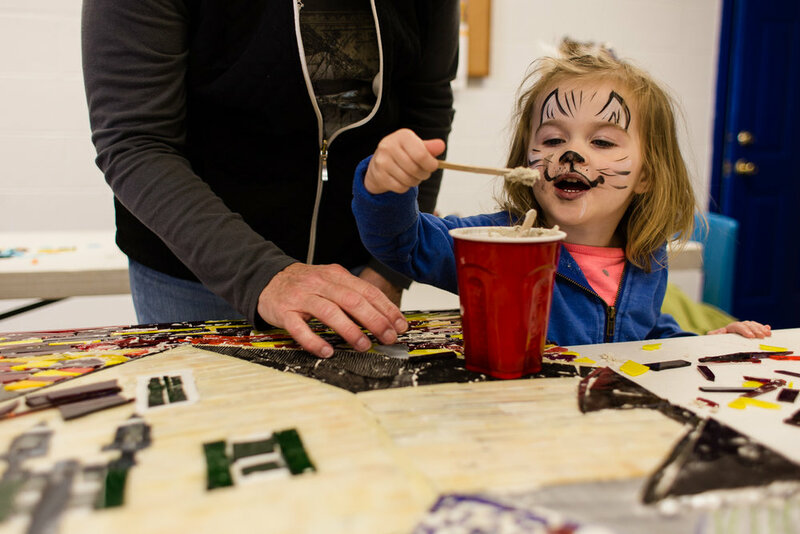 There is something about the festival that brings out such an amazing creative spirit in the town and in the festival goers. Here are some of my pictures taken around Fountain Park on Saturday morning and early afternoon. I also attended the first seating of Madam Malkin's High Tea at Occasions Catering, and that blog post can be found here. I've uploaded all of my images to an online gallery for easy downloading. Don't miss the link at the end of this blog post to peek at the rest of my images! For this series, I'm conducting photo interviews with some of the many local businesses in Rock Hall that my family has come to know and love. If you've never visited Rock Hall, then I hope these images and stories will help you plan a relaxing getaway to this charming town along the Chesapeake Bay, on the Eastern Shore of Maryland. If Rock Hall isn't new to you, then I hope you'll enjoy reading along and sharing these interviews with friends and family in support of these outstanding Rock Hall businesses. I've featured the Inn at Haven Harbour Marina in this series before. With its beautifully-appointed rooms and its location on the water, with gorgeous sunset views of Swan Creek, I always enjoy suggesting the Inn at Haven Harbour Marina to my friends as one of the places to stay in Rock Hall. Just this past summer, they opened the newly-built Cottage to their list of accommodations. All winter long, my family enjoyed watching the progress on the construction. The Cottage is divided into two suites. The first floor contains a 2-bedroom, 2-bath suite with a full kitchen. Upstairs on the second floor is a 1-bedroom, 1-bath suite with mini-bar kitchen. Both suites offer gorgeous views of the marina and Swan Creek. And once again, the Inn has decorated their rooms with many custom furnishings from De-Finds by Stacey Rooney. I'm a big fan of her beautifully clever pieces (check out the boat hanging from the ceiling, three images down). If you're intrigued by a stay at The Cottage, then you should know about their current special. 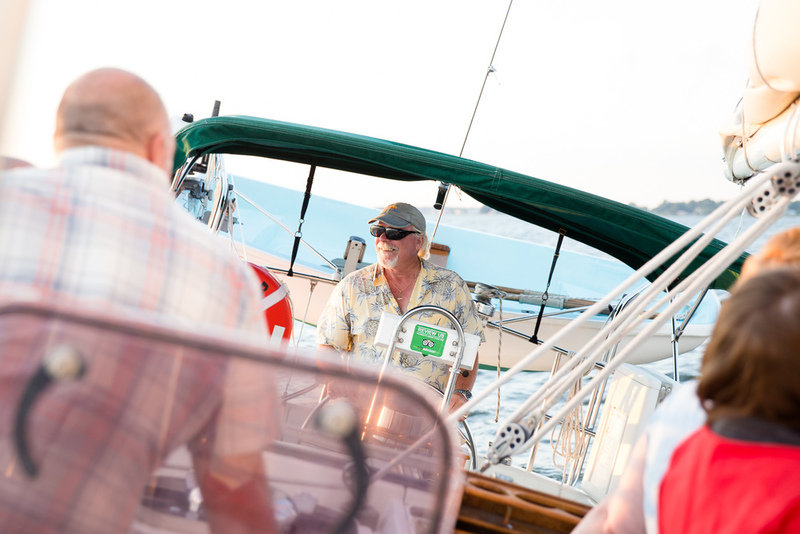 Right now if you book a Mid-Week Stay and Sail package with the Inn at Haven Harbour, you can take a beautiful and relaxing sunset sail with Blue Crab Chesapeake Charters. Give the Inn at Haven Harbour Marina a call today at 800.506.6697, and be sure to let them know you heard about this special from me! 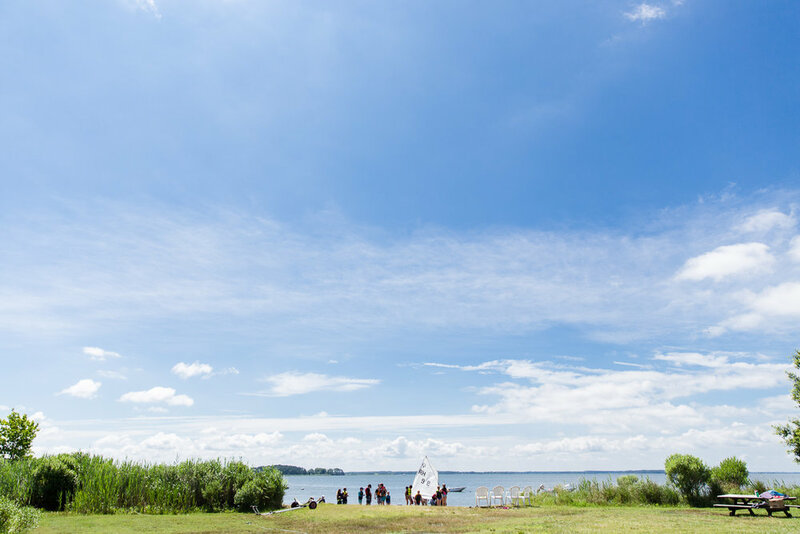 Need help in planning a relaxing getaway to Rock Hall, Maryland? Be sure to catch each feature in my Plan a Visit to Rock Hall series by signing up here to have each one sent directly to your inbox. 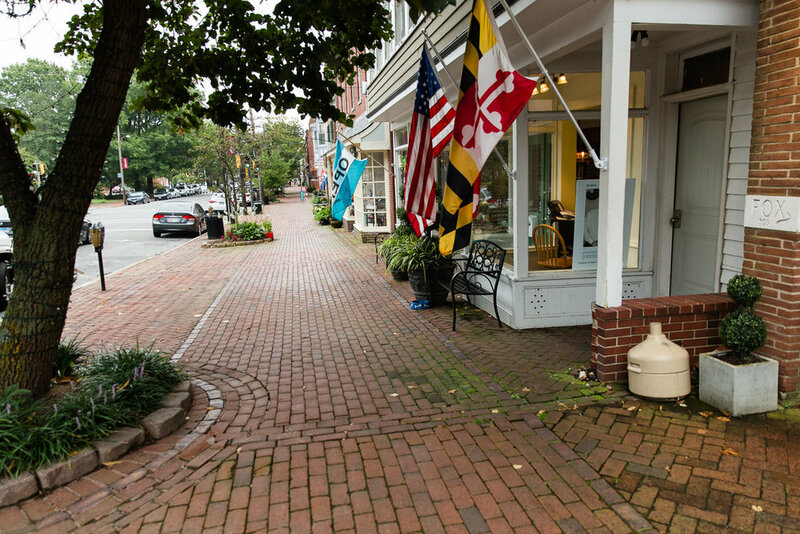 By showcasing the charming local businesses in the area, I will help you plan a visit to the Pearl of the Chesapeake! 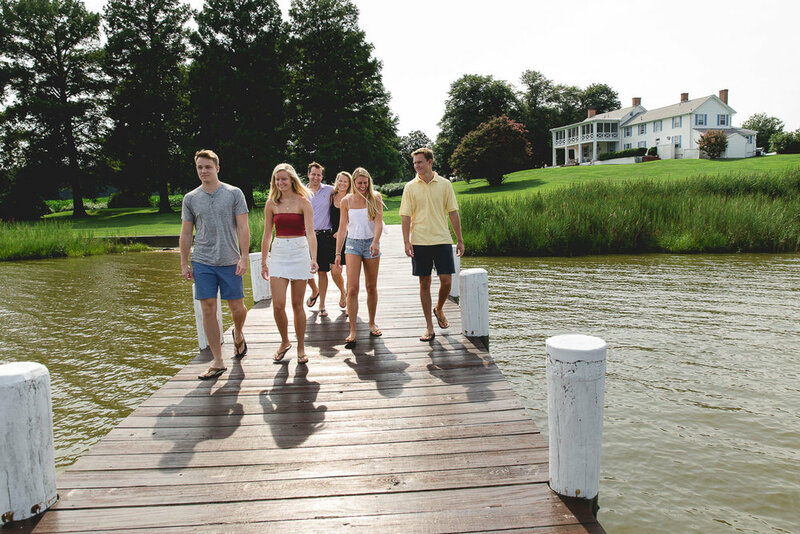 Whether you're a first-time visitor planning a vacation or a local-in-the-know, my series will help you and your family unwind and relax in one of the Eastern Shore's most picturesque towns on the Chesapeake. Are you in need of some relaxation? I invite you to come out to Rock Hall, Maryland for a relaxing getaway. 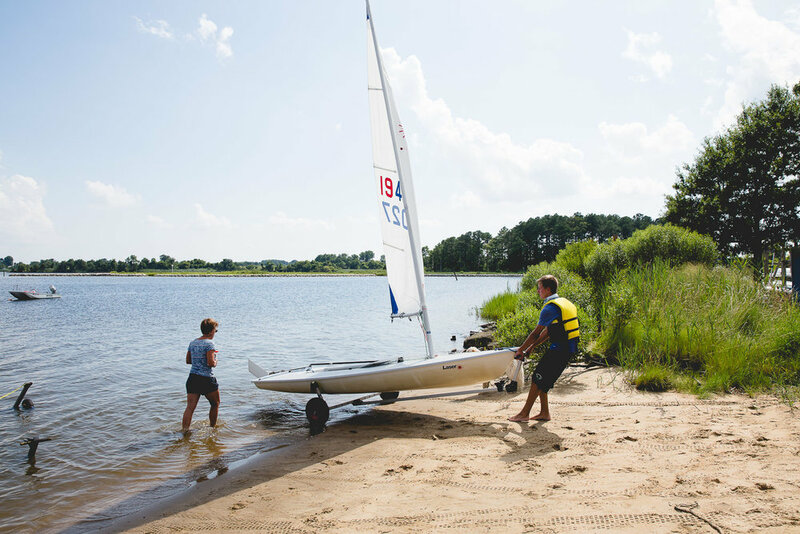 While you're here, you'll want to spend some time on the water, for sure. Blue Crab Chesapeake Charters was started in Annapolis in 1994, and has managed to create a unique blend of sailing, seafood, and adventure that can only be found on the Chesapeake Bay! Now located in Rock Hall and leaving from Waterman's Crab House, Blue Crab Charters offers 90-minute sailing cruises up to 5 times a day. I was fortunate enough to be onboard one of their sunset cruises last week, and I can't think of a better way to spend a gorgeous summer evening! Blue Crab Chesapeake Charters is owned and operated by Captain Mark Einstein and First and Only Mate Suzanne Einstein. 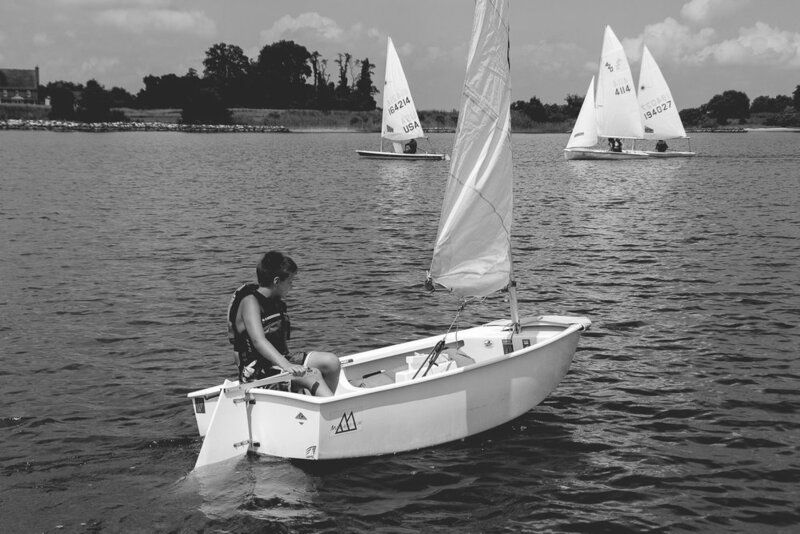 Both born and raised in Baltimore, they have over 30 years sailing experience. As proud Rock Hall residents today, Mark and Suzanne bring so much to our charming town on the Eastern Shore. Their sailing cruises in Rock Hall are aboard The Crab Royale, a safe, spacious, and comfortable Irwin 40 mark II performance cruiser. She can easily accommodate six passengers on deck or in the cockpit. Take the wheel or just relax as you set sail on the Chesapeake Bay aboard their beautiful luxury sailing yacht. Mark and Suzanne have recently introduced a second boat to their fleet. Island Girl is a safe, spacious, and very comfortable Morgan 43 Center Cockpit Sloop Sailing Yacht. Starting in the winter of 2017, Five Day - Five Island Caribbean sailing vacations in the US and British Virgin Islands will be available onboard Island Girl. She can easily accommodate individual couples for a completely private sailing vacation of a lifetime or up to two couples who are vacationing together in the same party. Their passengers are pleased! 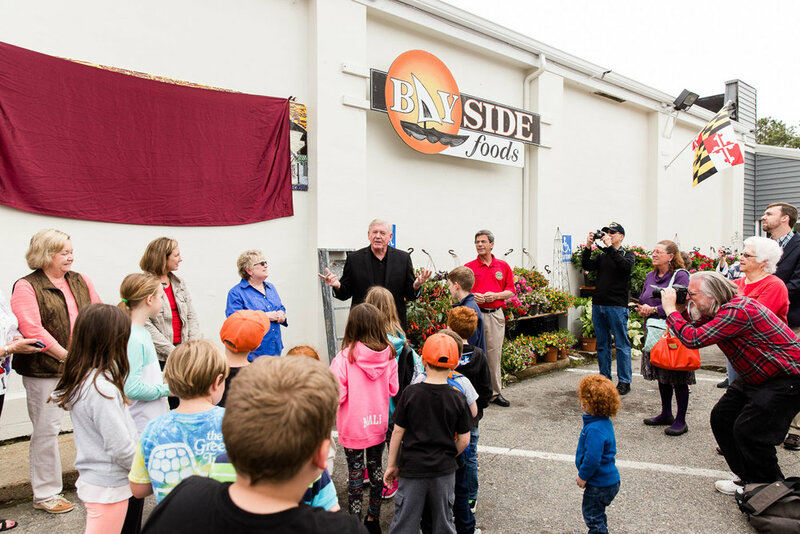 Blue Crab Chesapeake Charters has received quite a few accolades over the years, including: five Best of Eastern Shore awards, five consecutive Trip Advisor Certificates of Excellence, and Kent County Chamber of Commerce Outstanding Business of the Year. And right now if you book a Mid-Week Stay and Sail package with the Inn at Haven Harbour, you can take a beautiful and relaxing sunset sail with Blue Crab Chesapeake Charters. By showcasing the charming local businesses in the area, I will help you plan a visit to Rock Hall, Maryland! 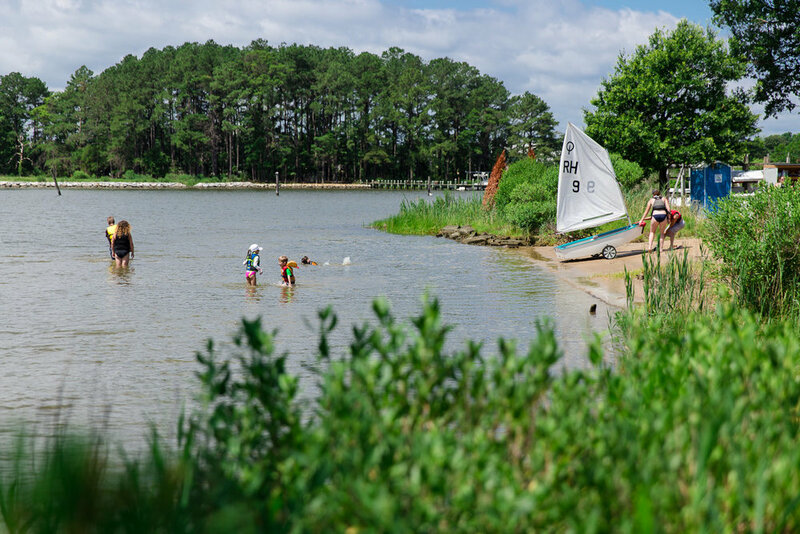 Whether you're a first-time visitor planning a vacation or a local-in-the-know, my series will help you and your family unwind and relax in one of the Eastern Shore's most picturesque towns on the Chesapeake. Be sure to catch each feature by signing up here to have each one sent directly to your inbox.